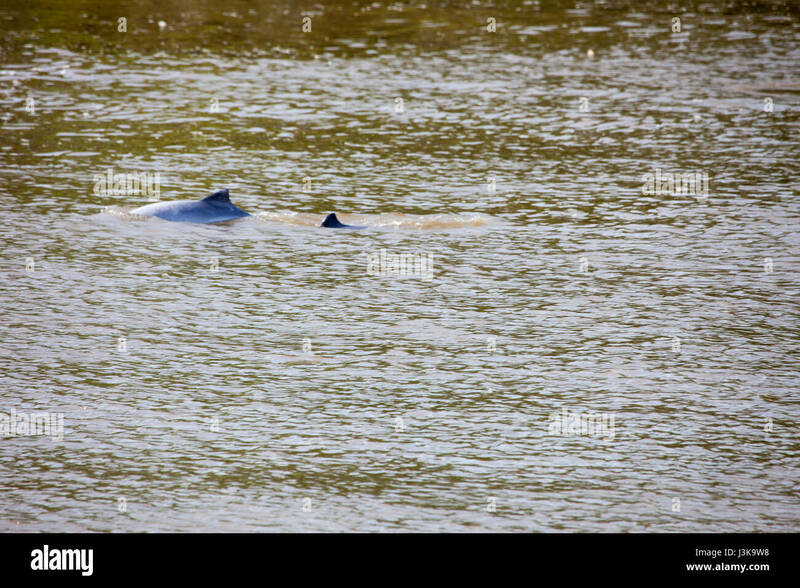 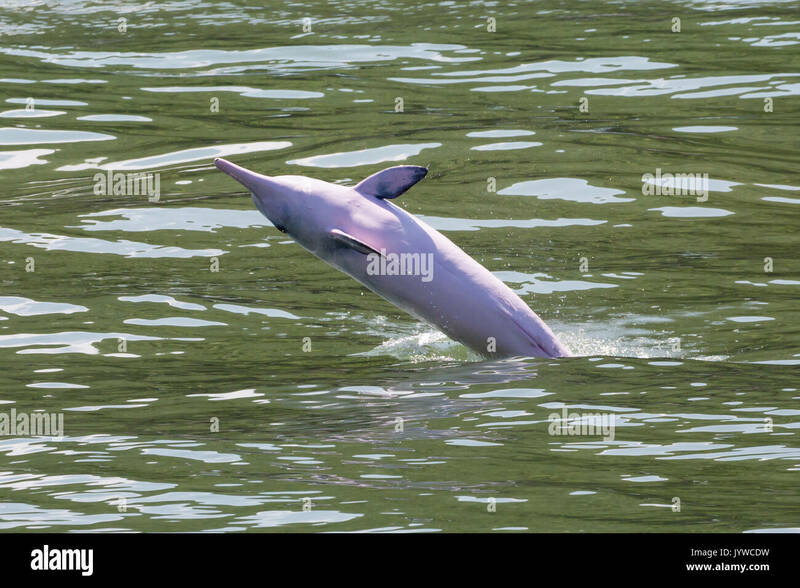 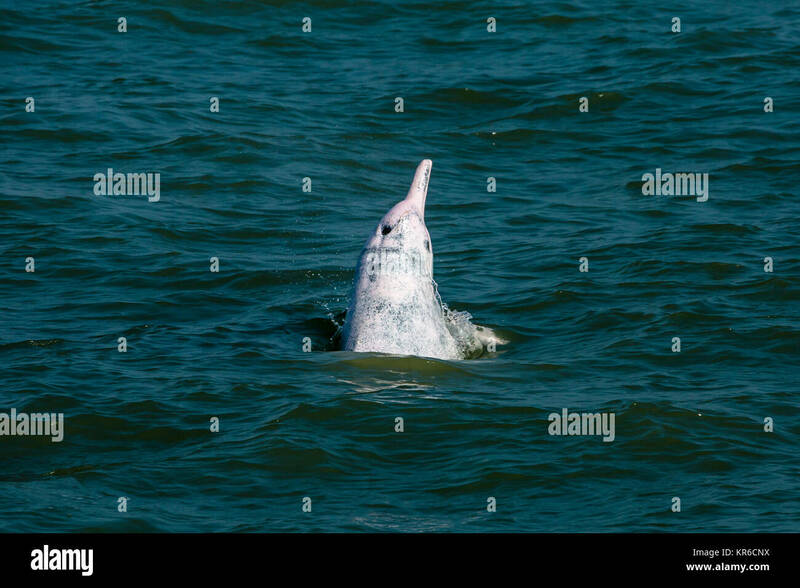 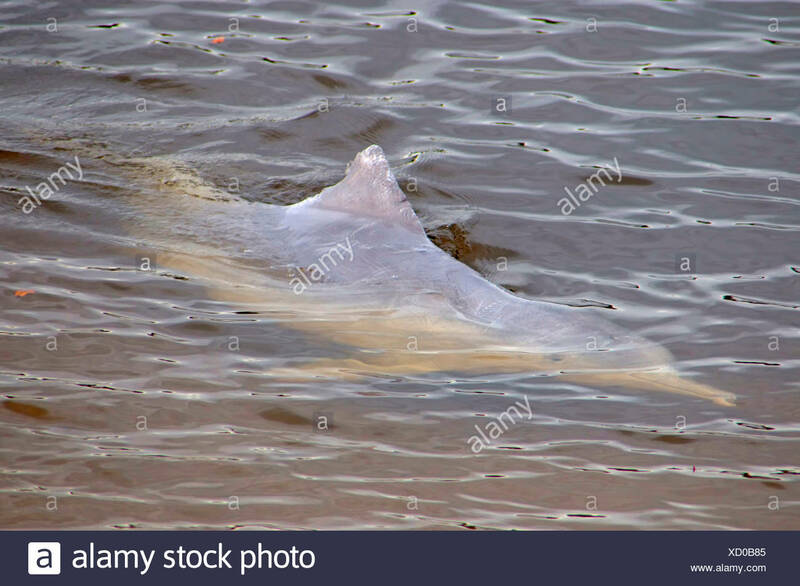 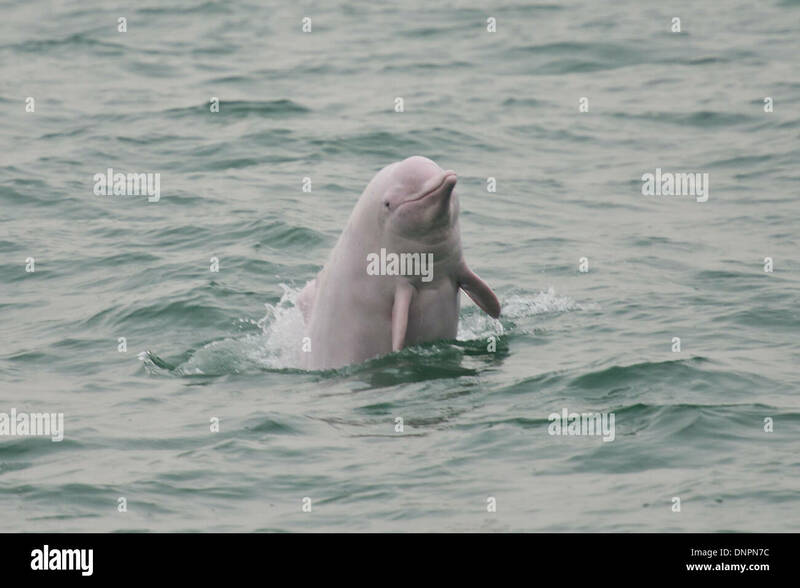 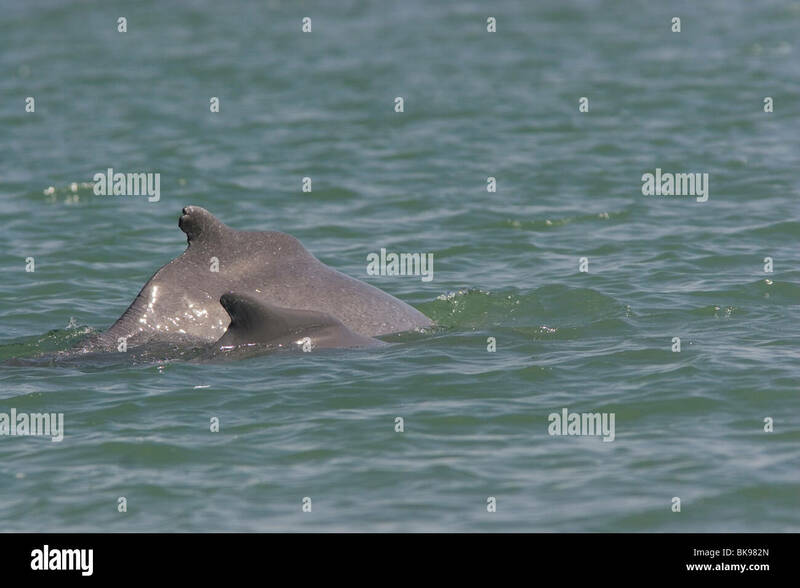 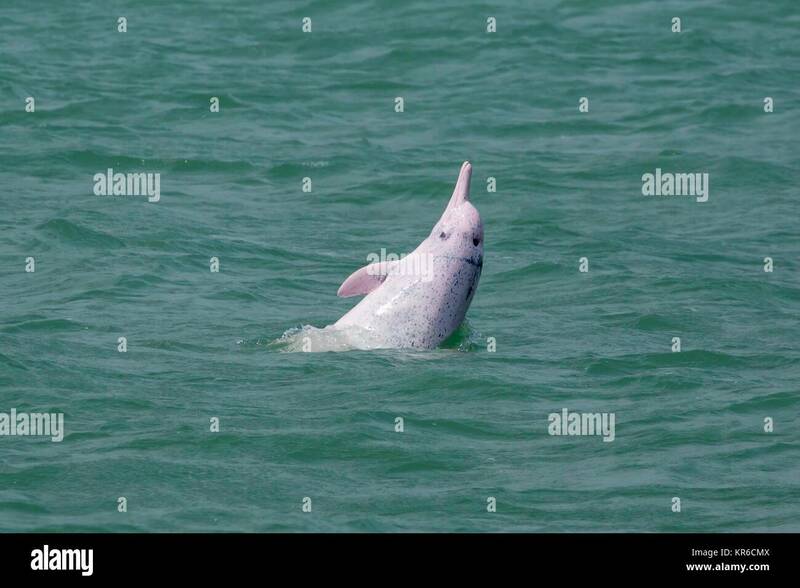 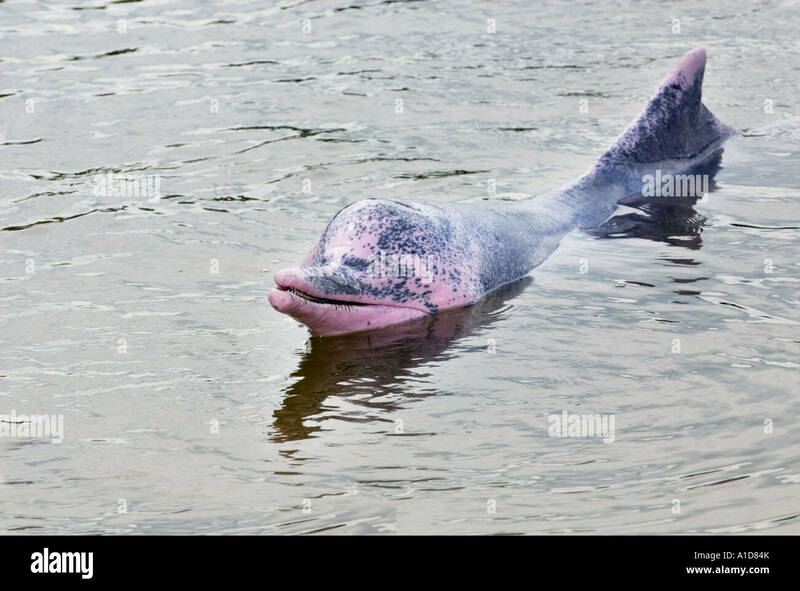 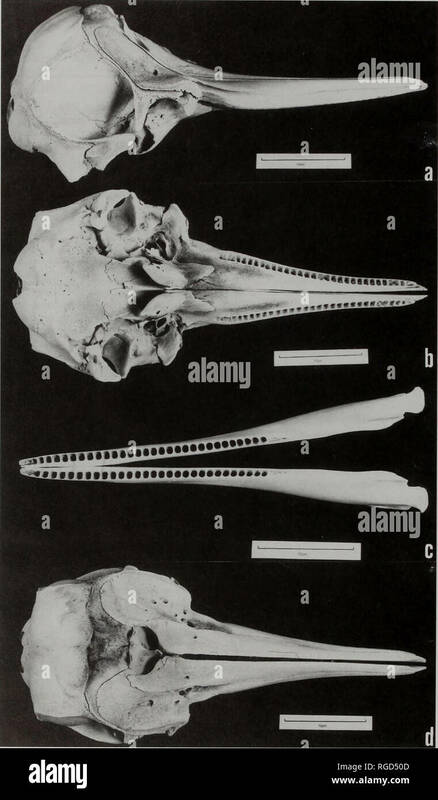 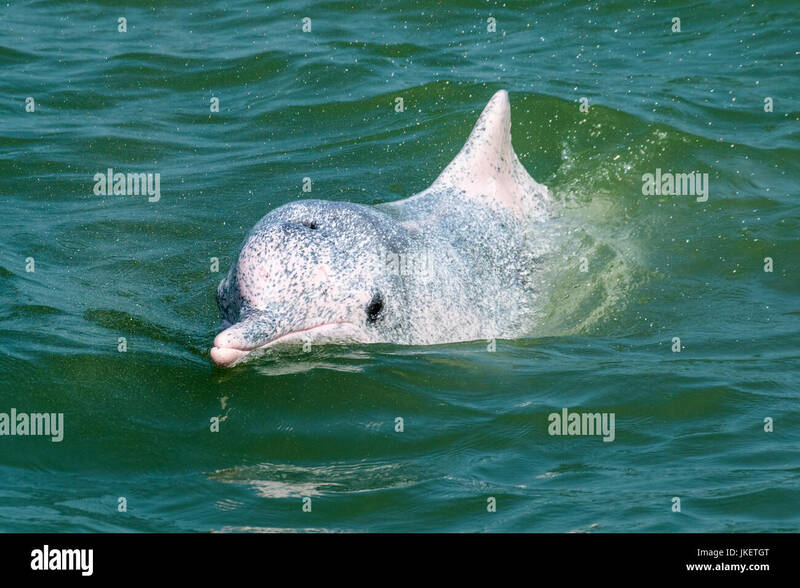 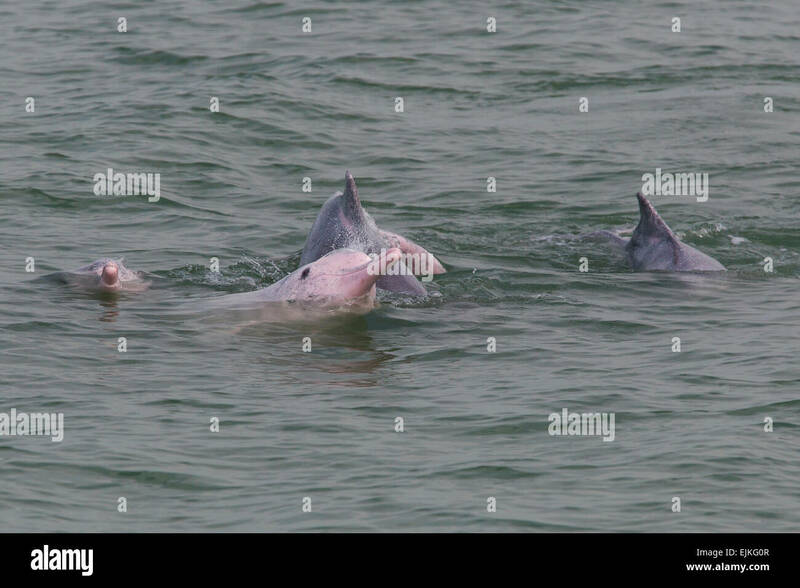 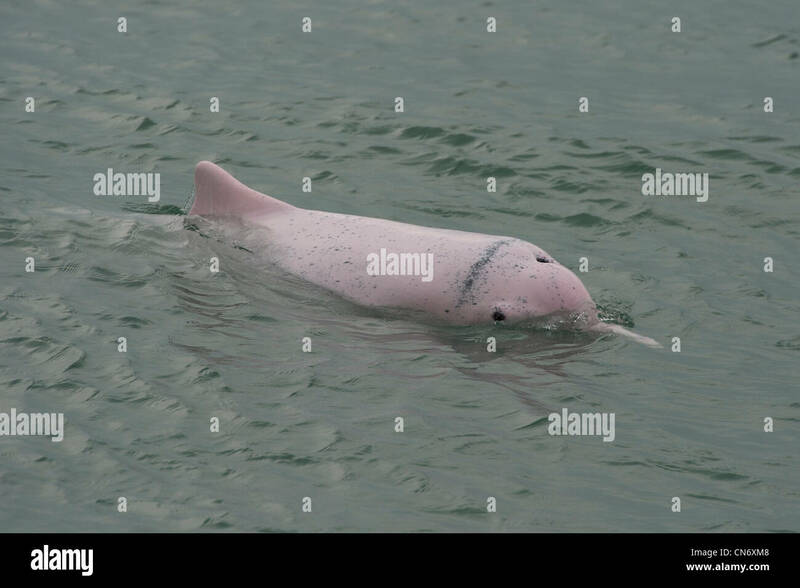 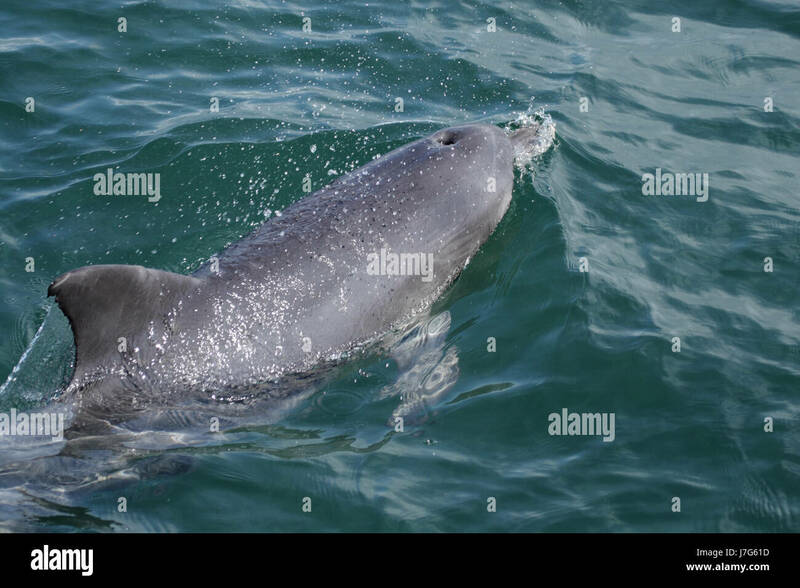 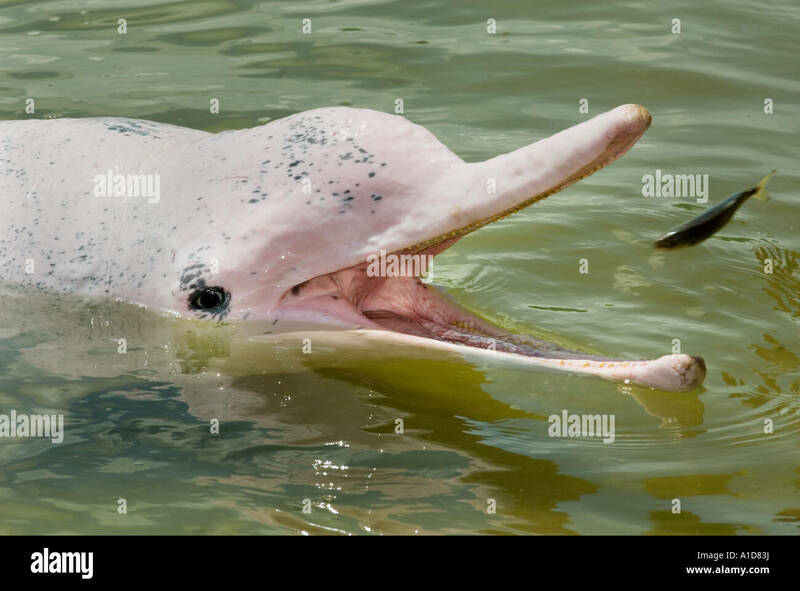 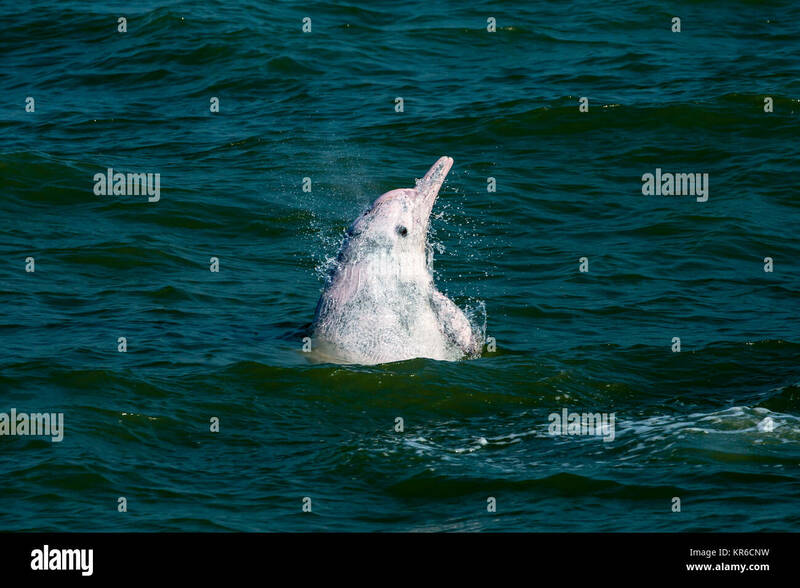 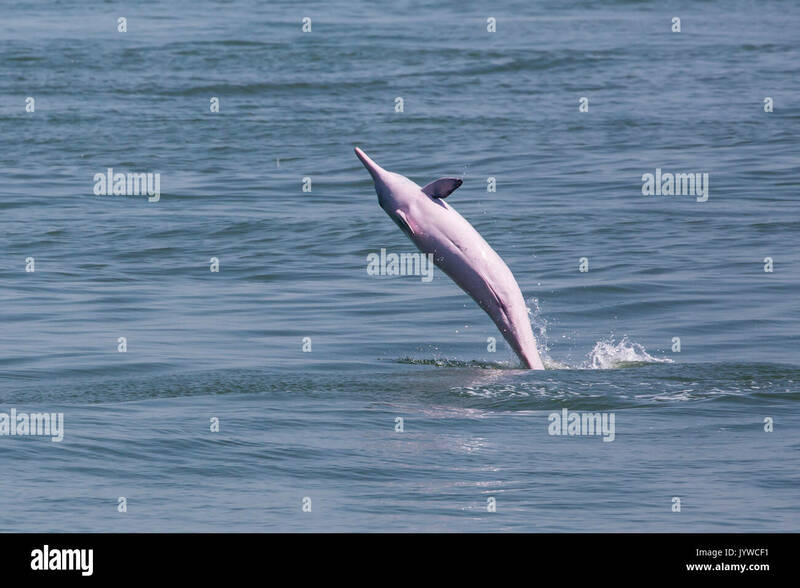 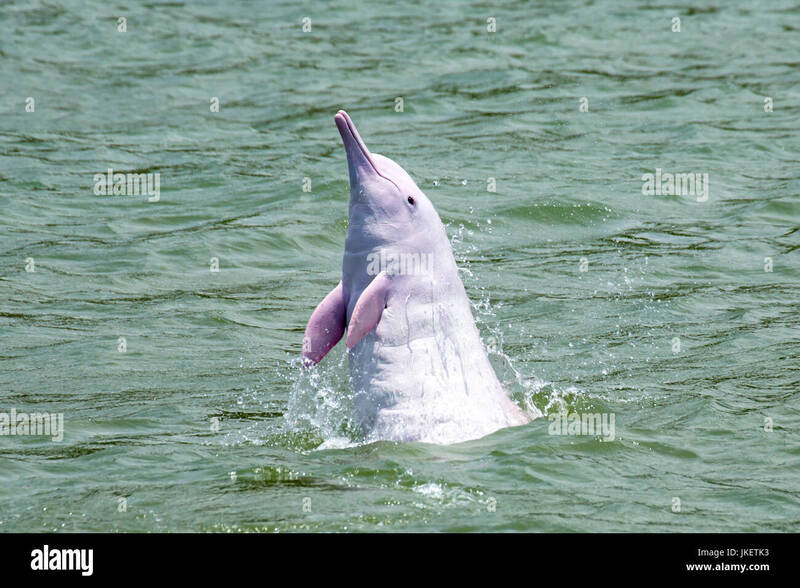 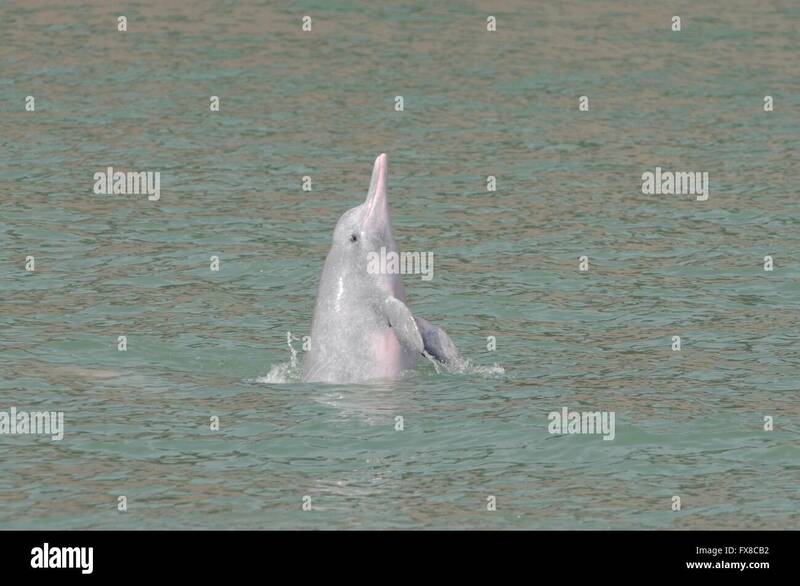 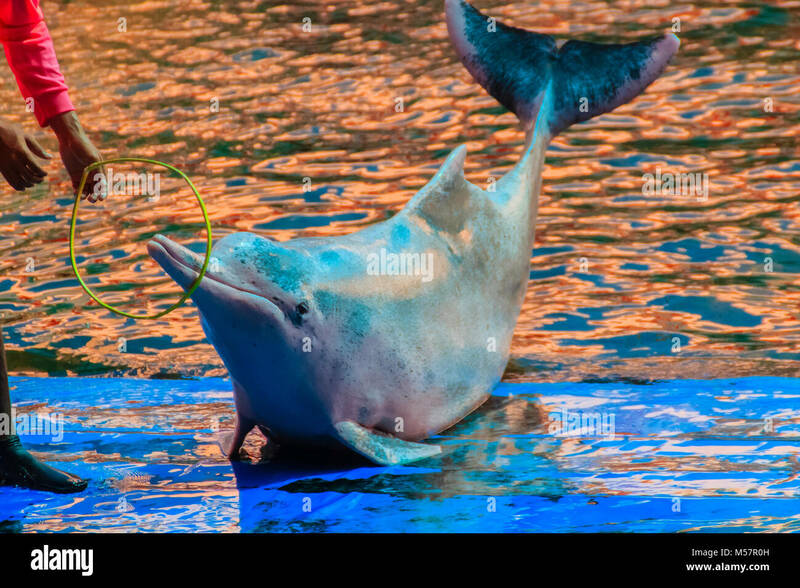 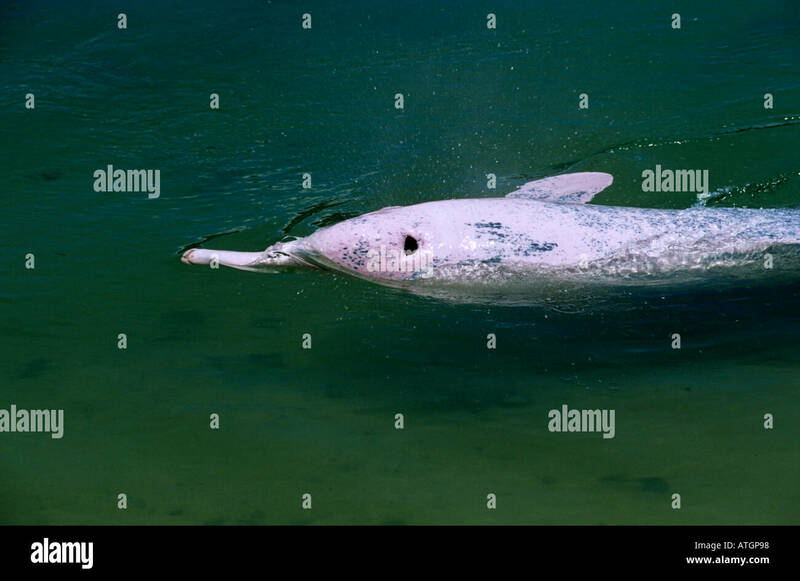 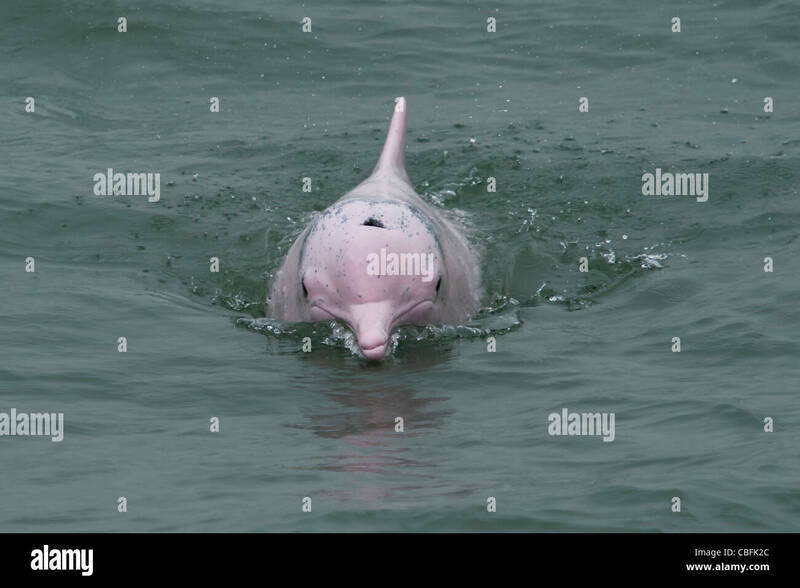 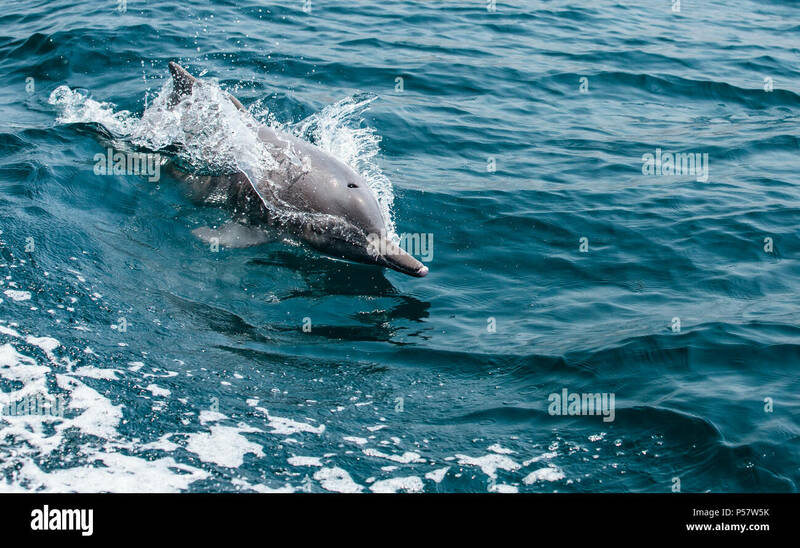 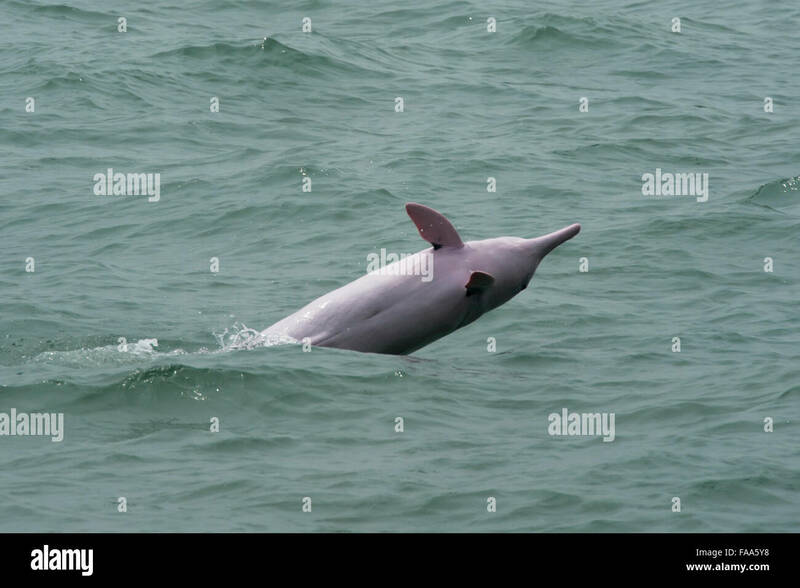 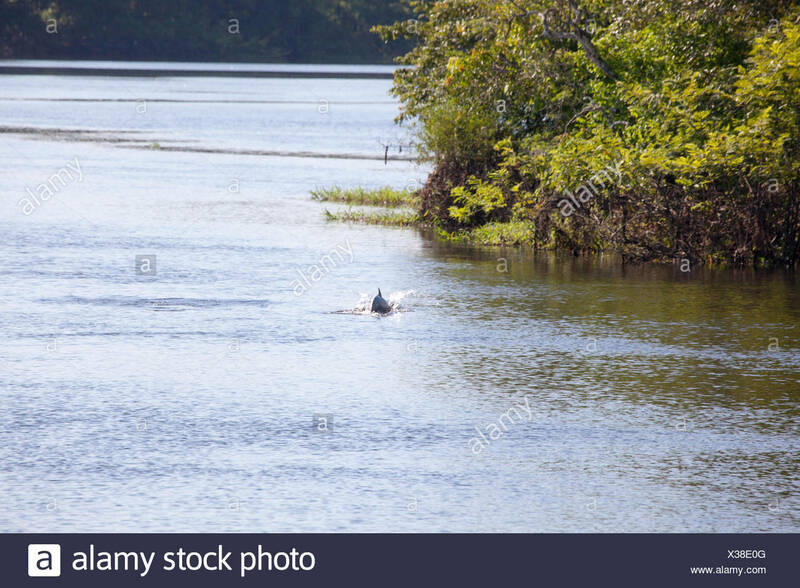 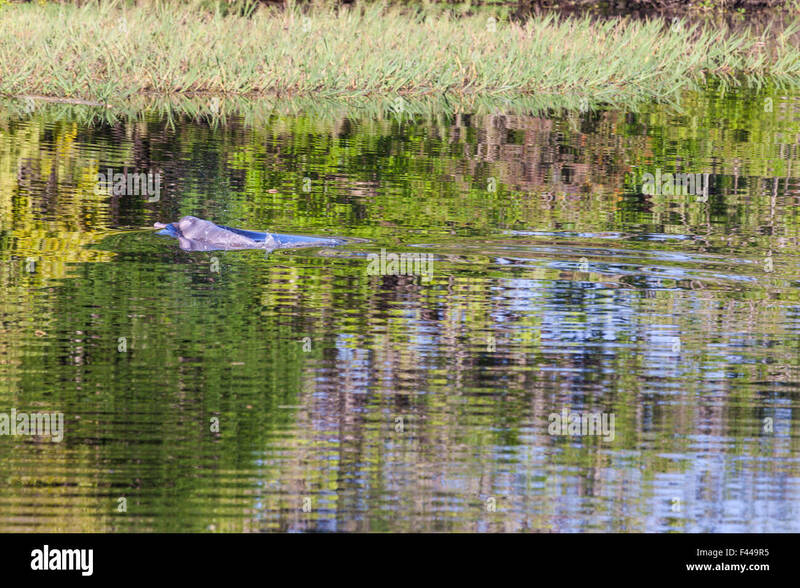 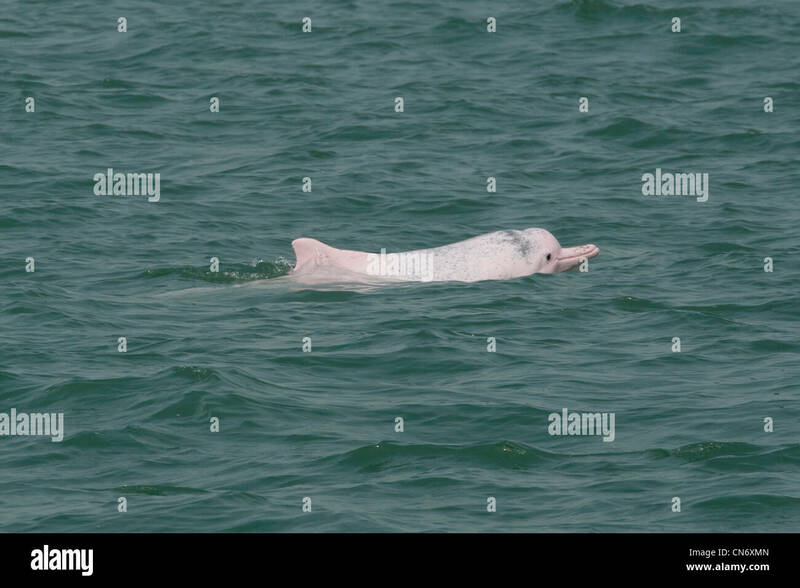 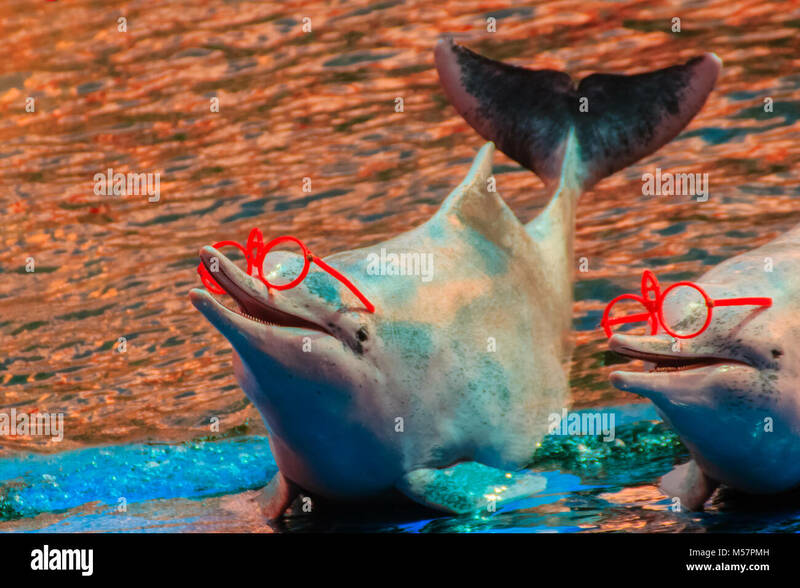 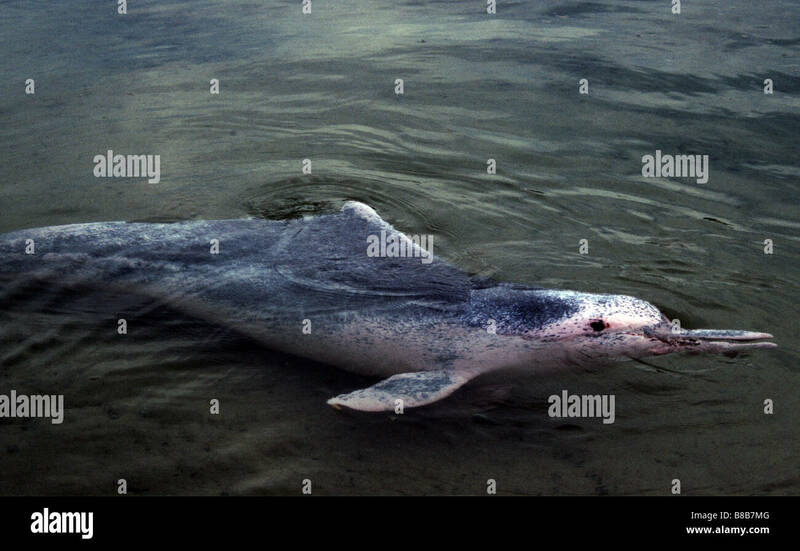 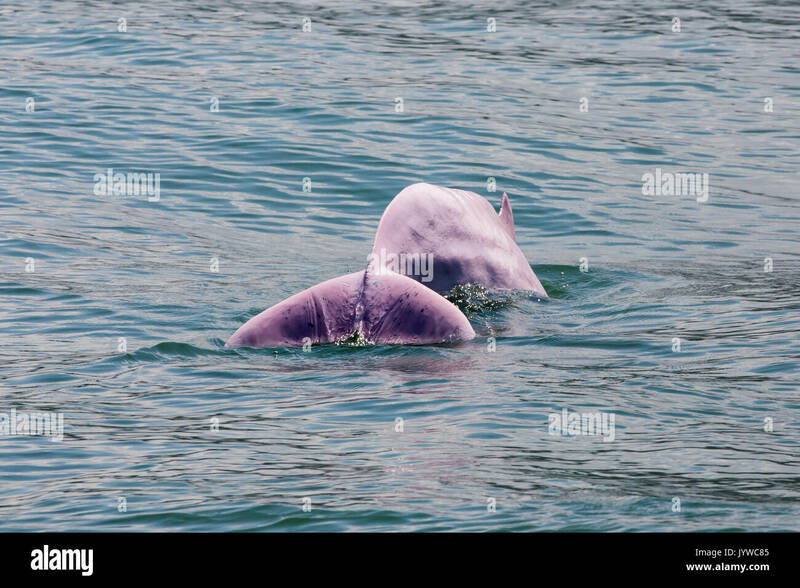 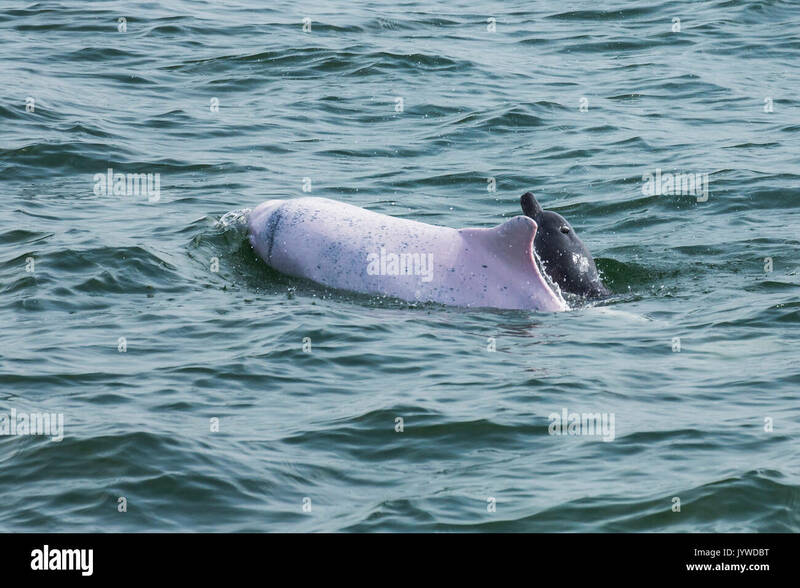 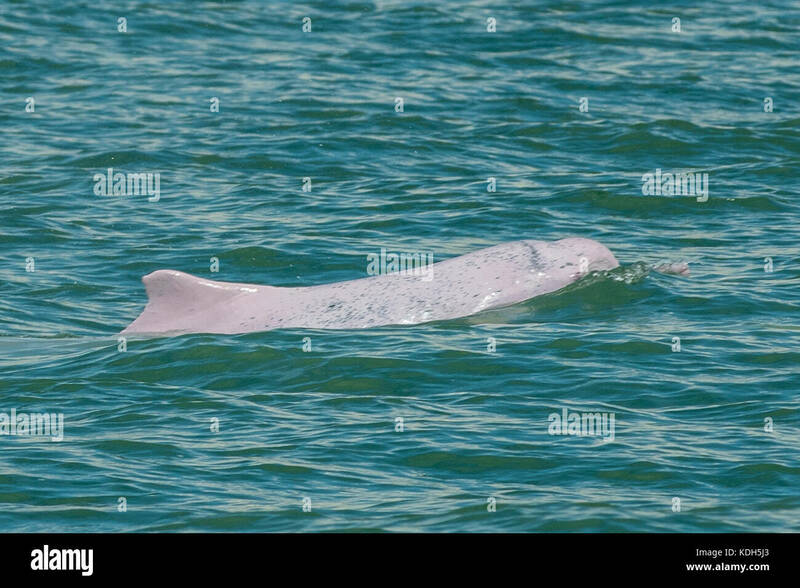 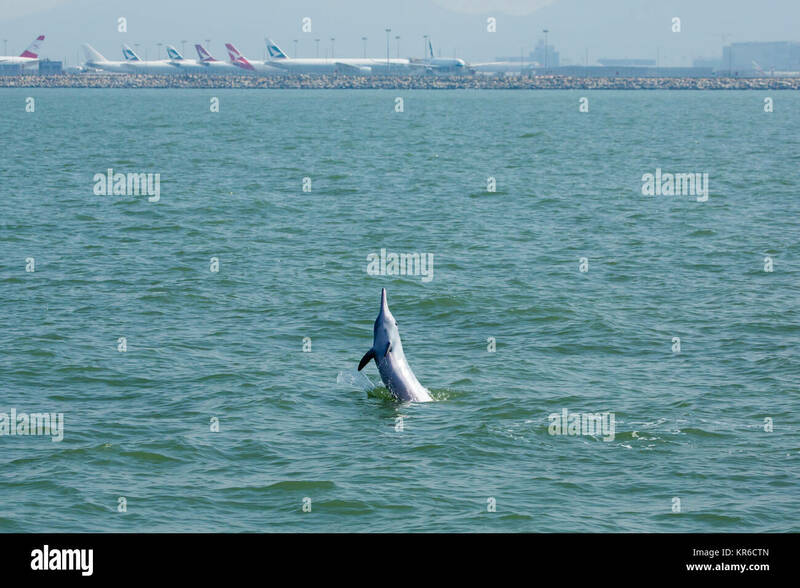 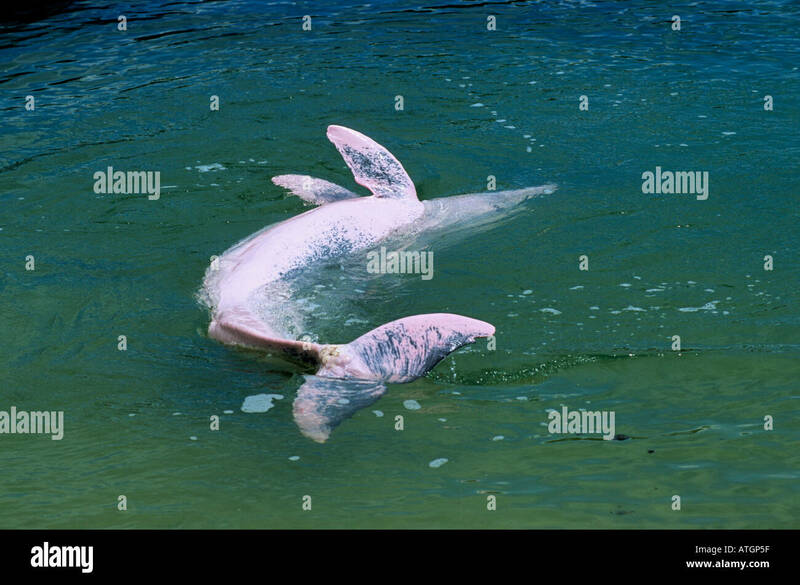 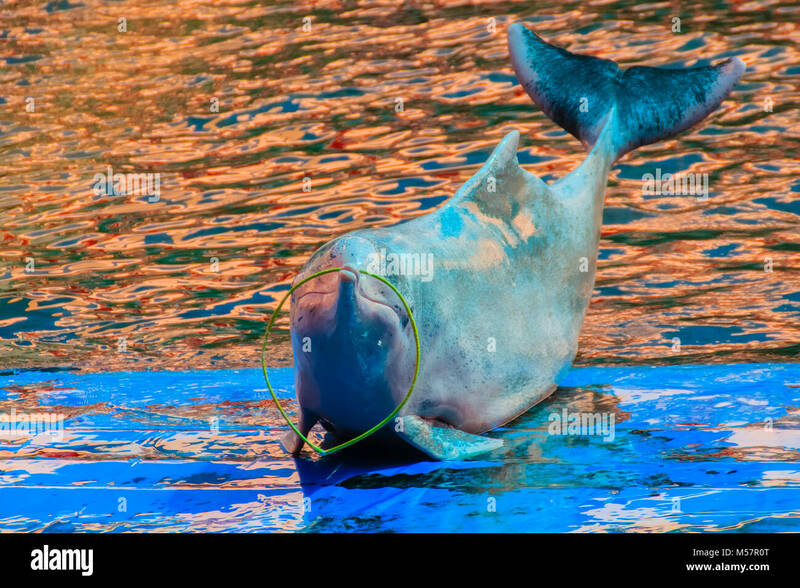 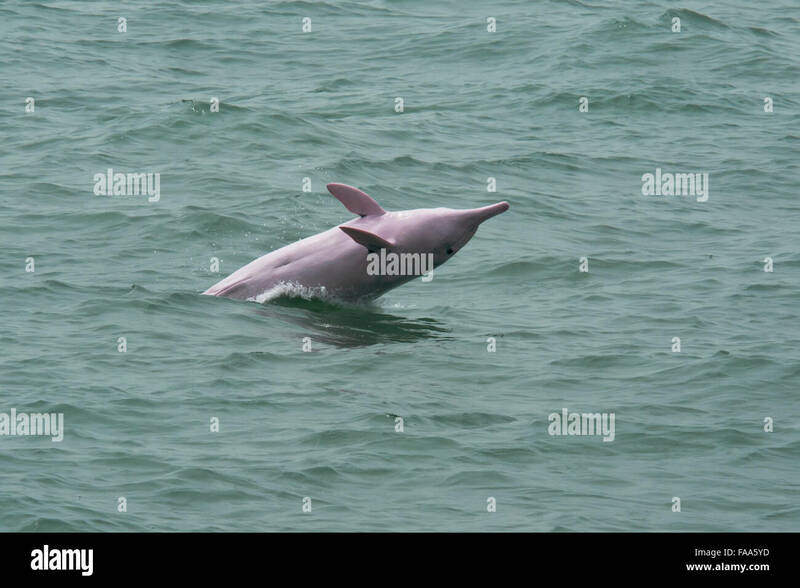 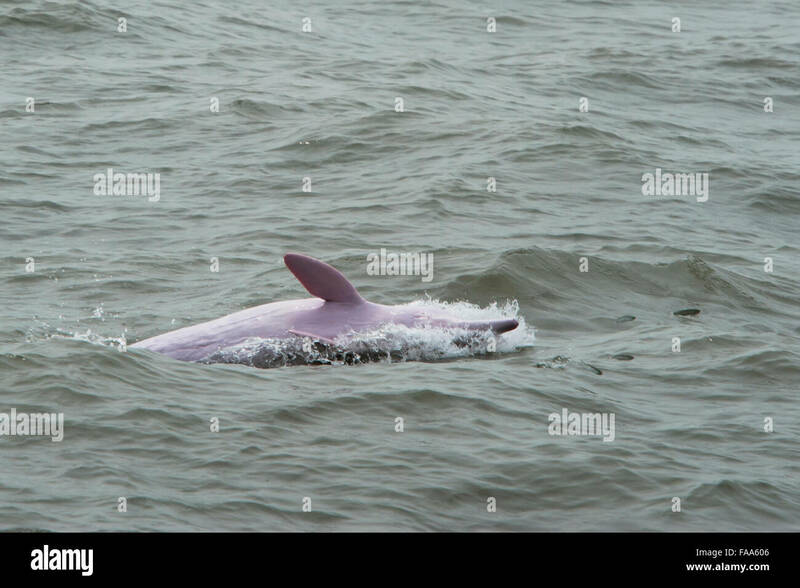 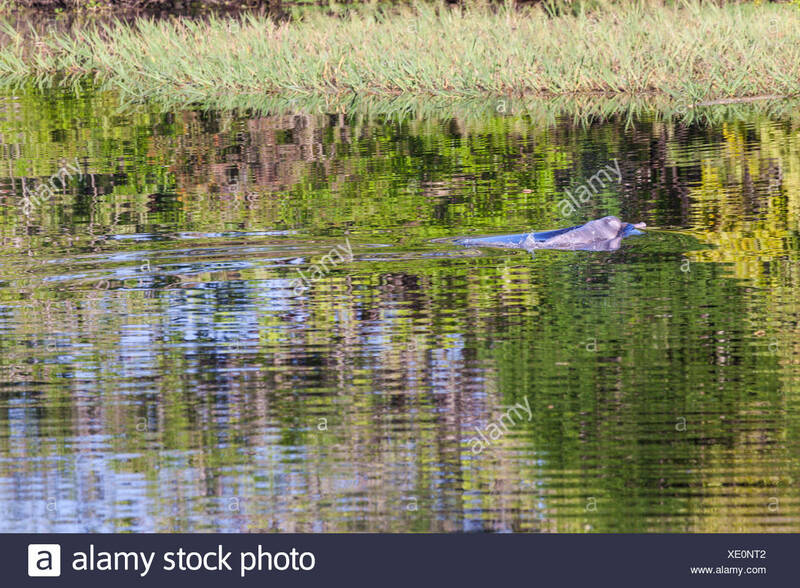 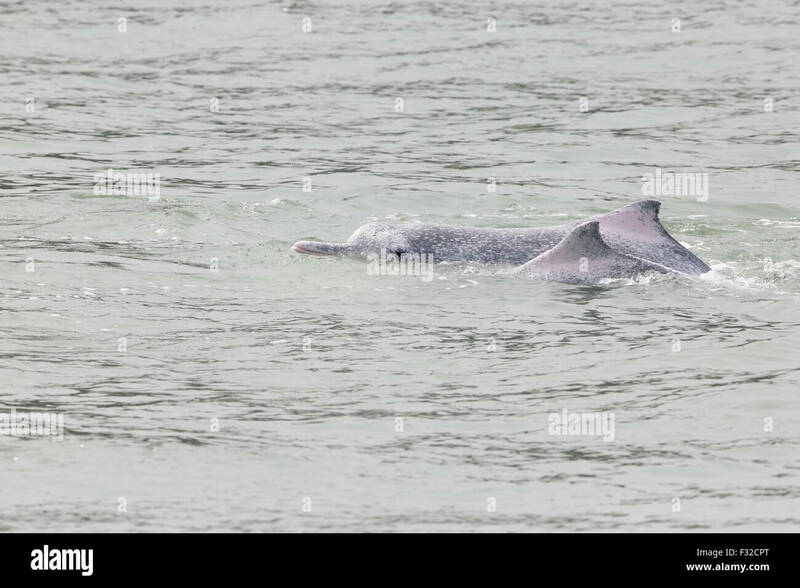 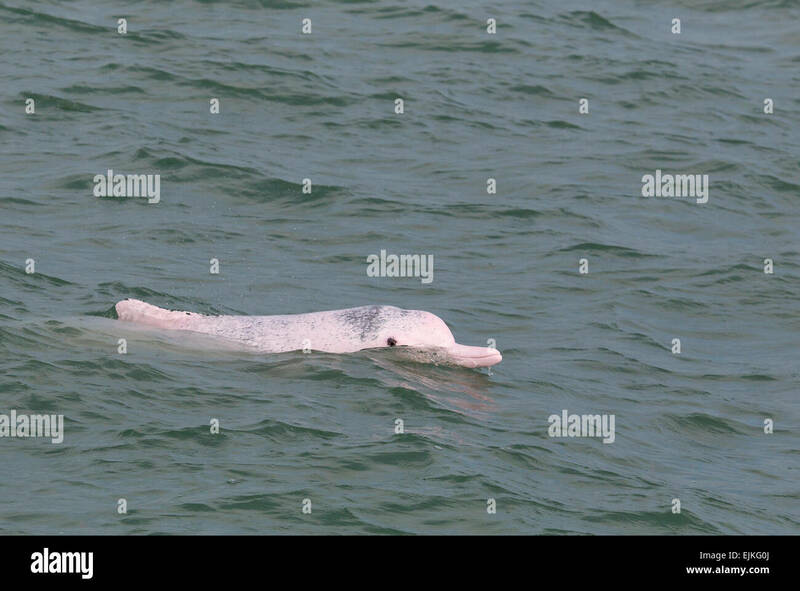 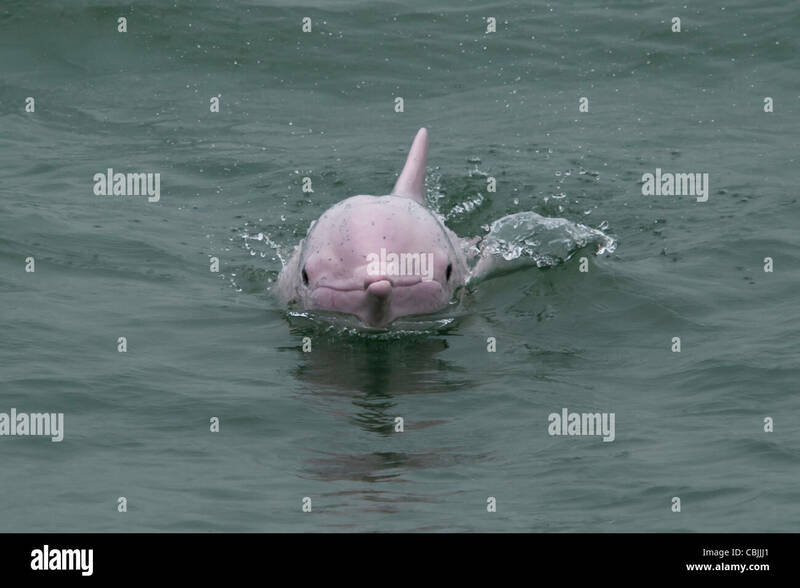 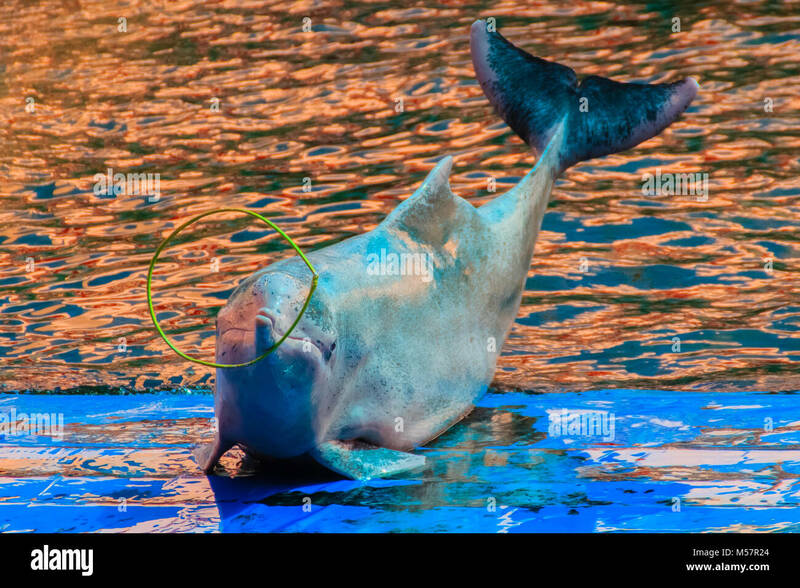 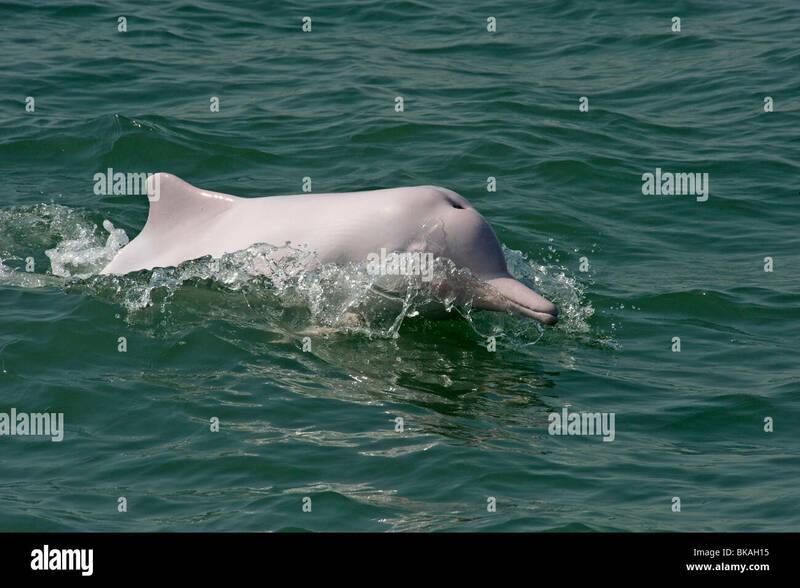 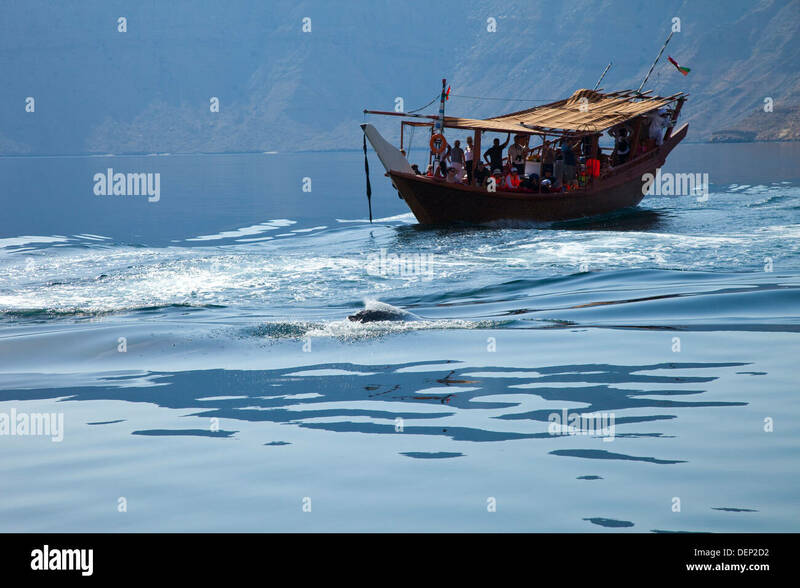 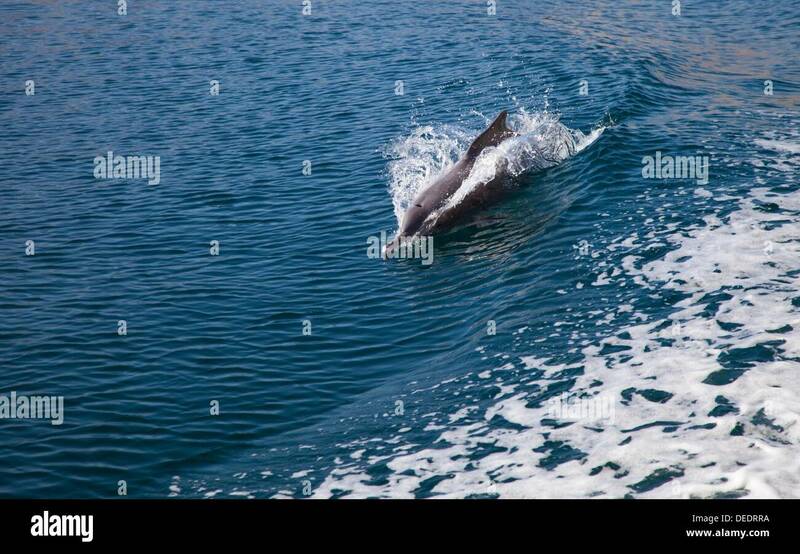 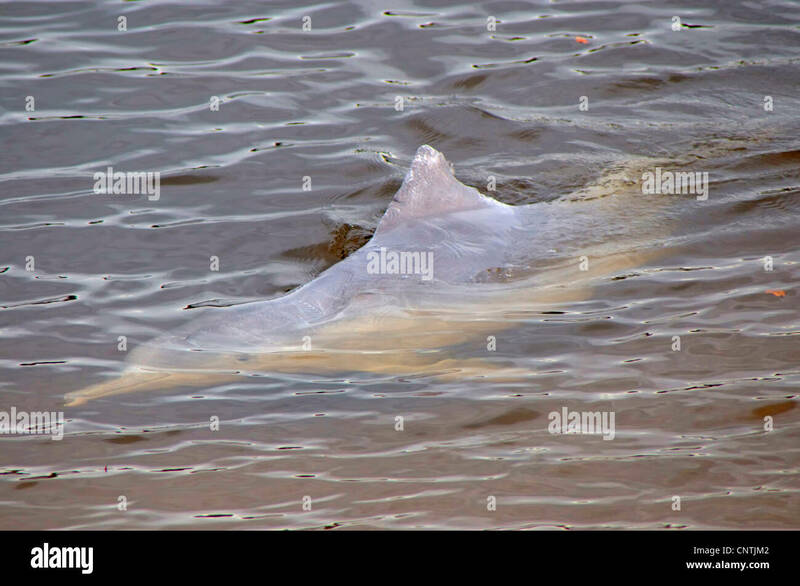 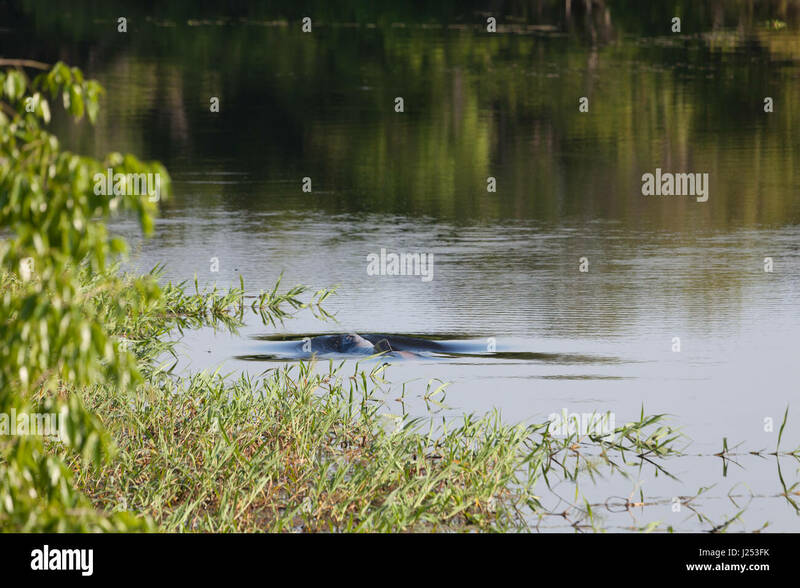 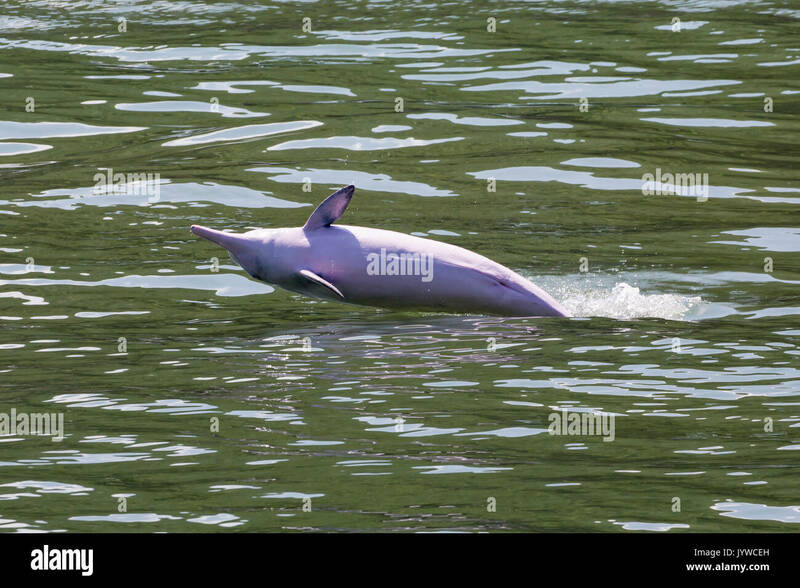 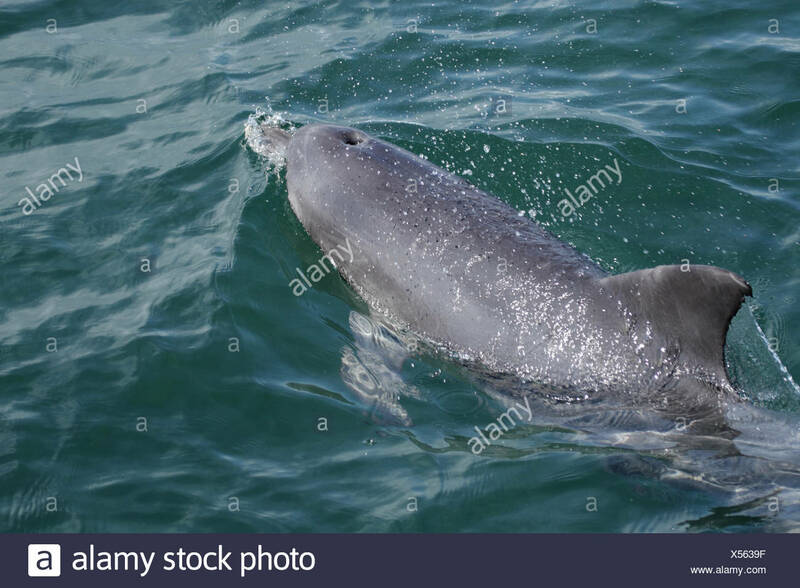 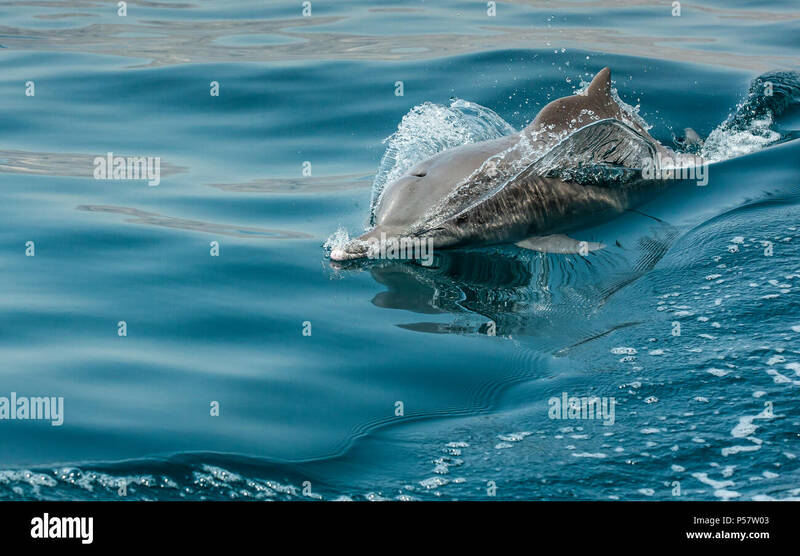 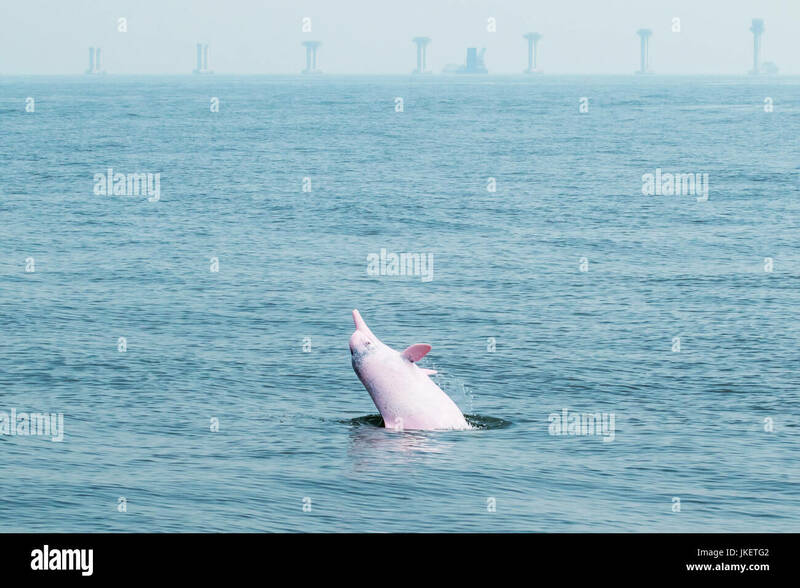 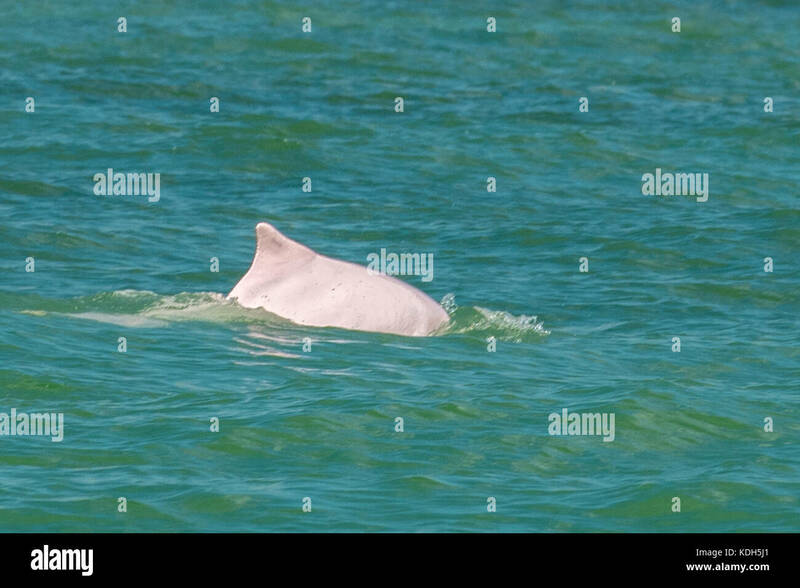 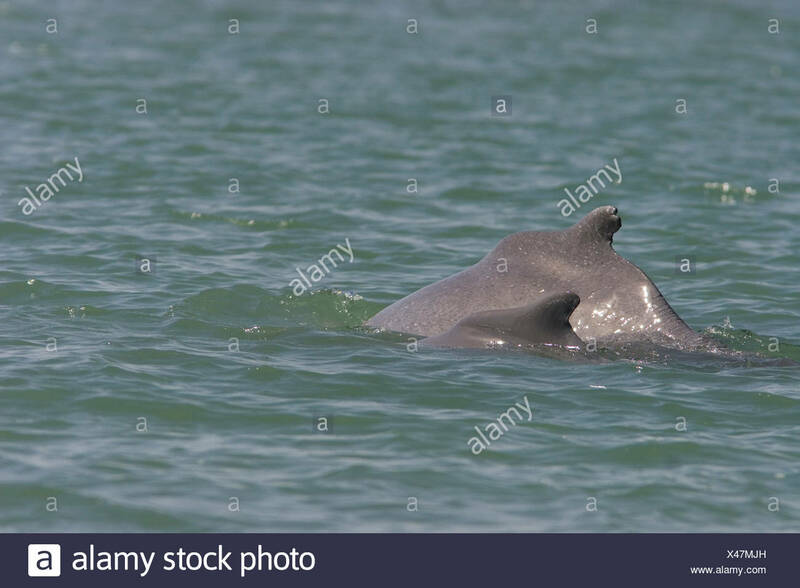 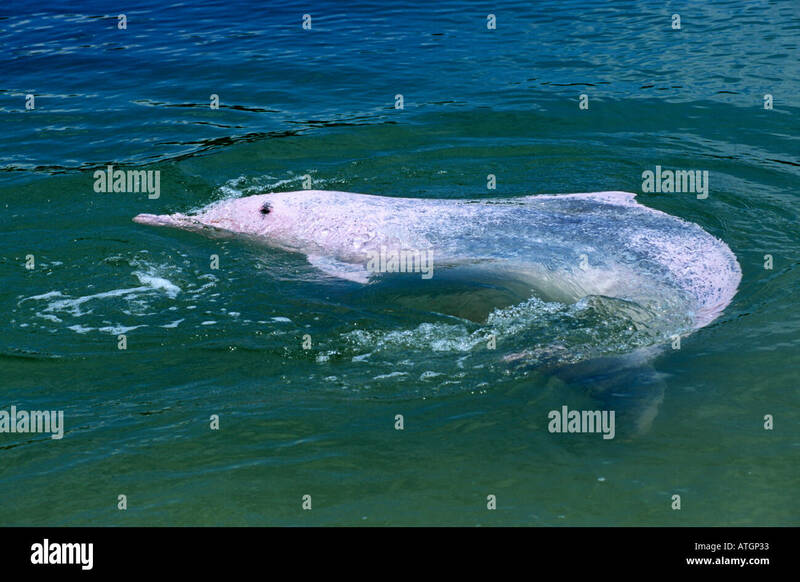 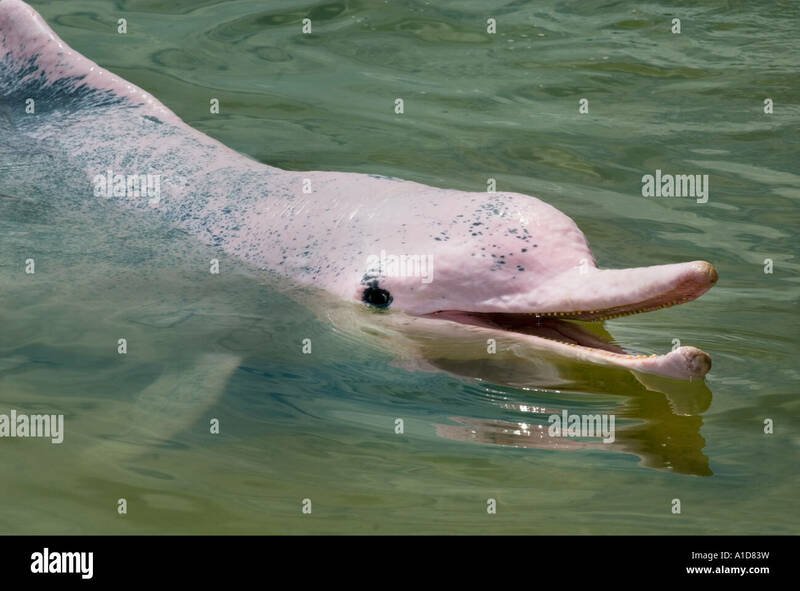 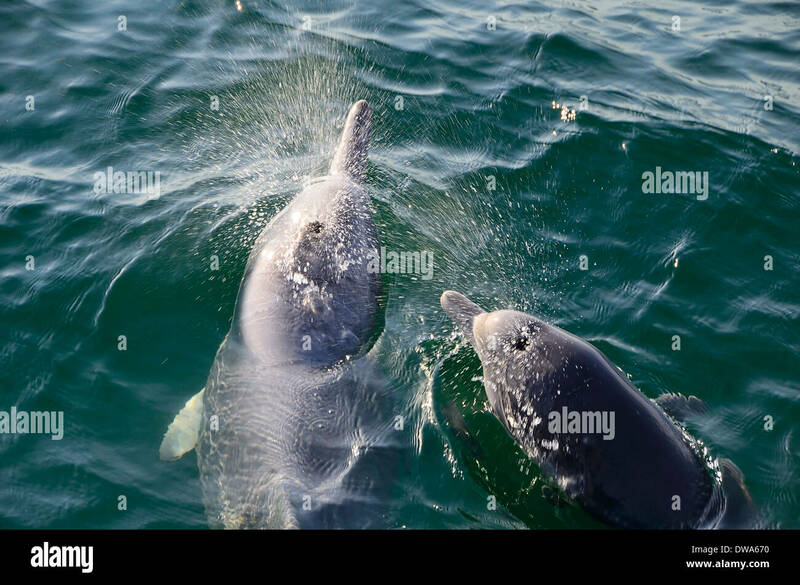 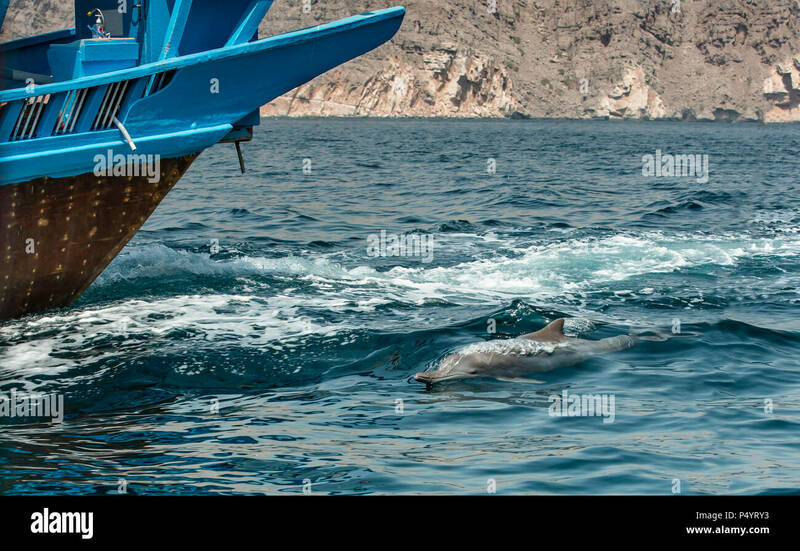 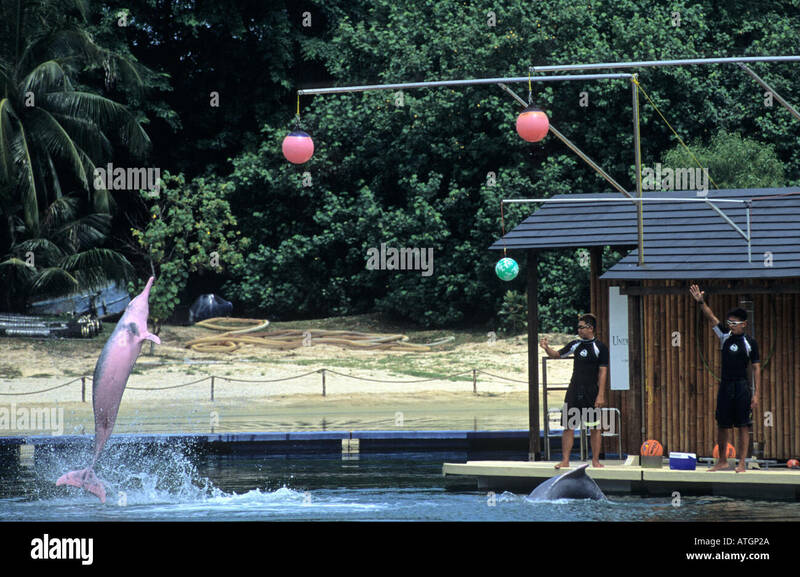 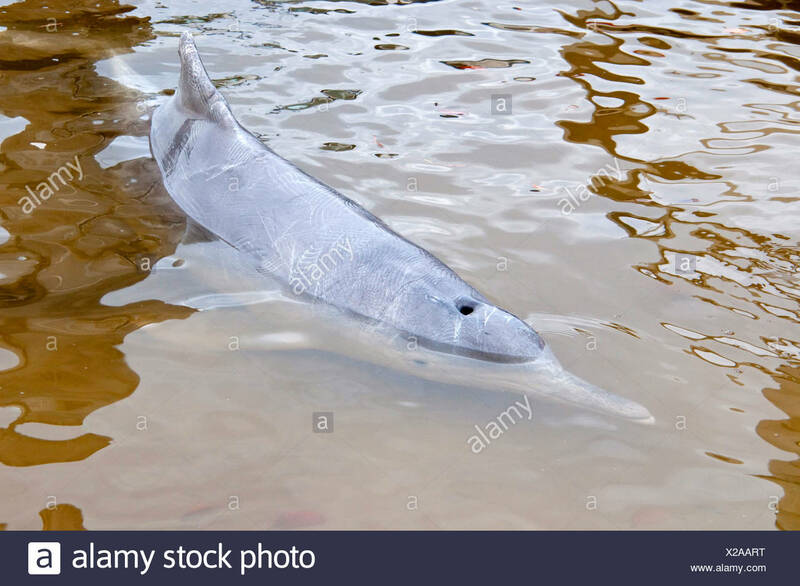 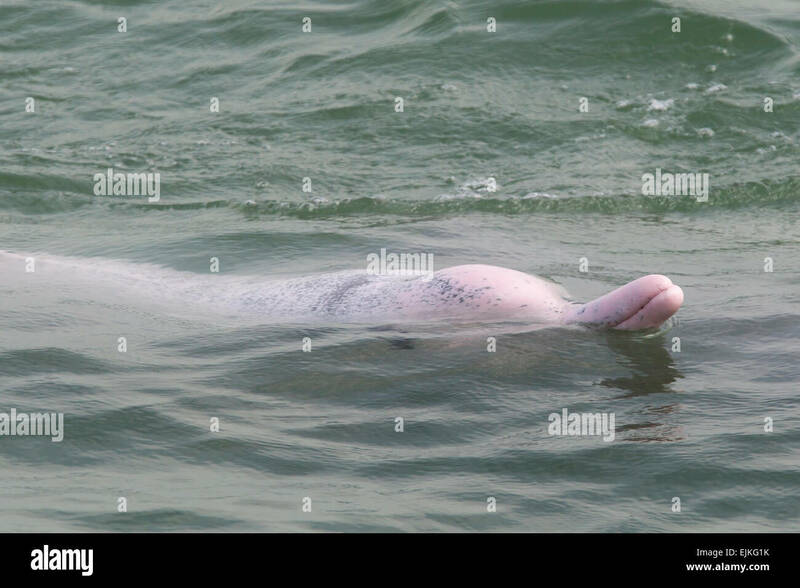 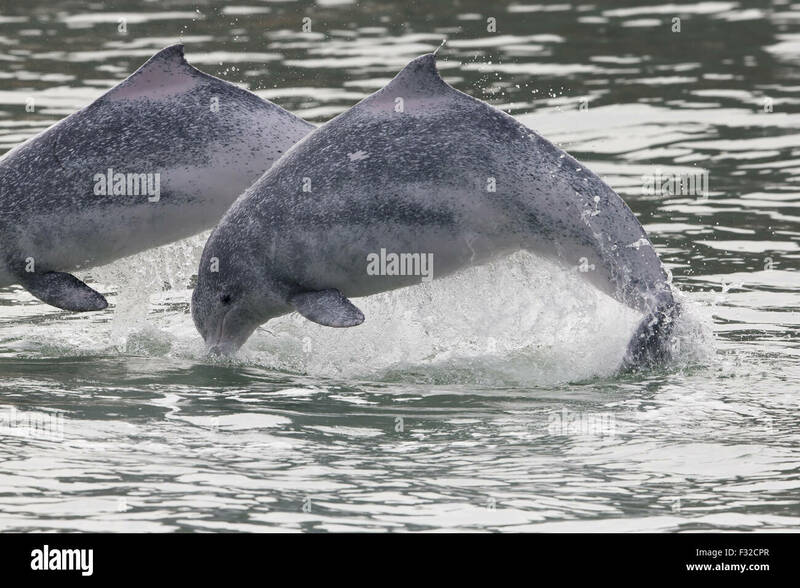 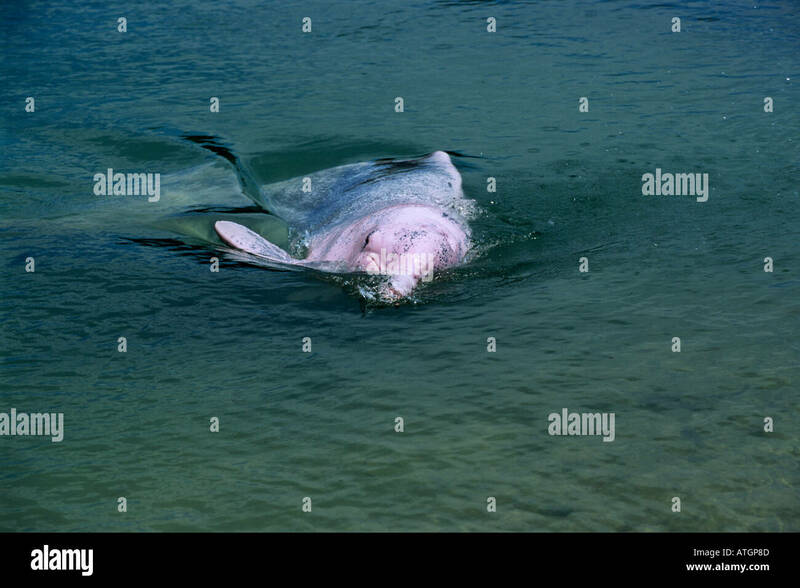 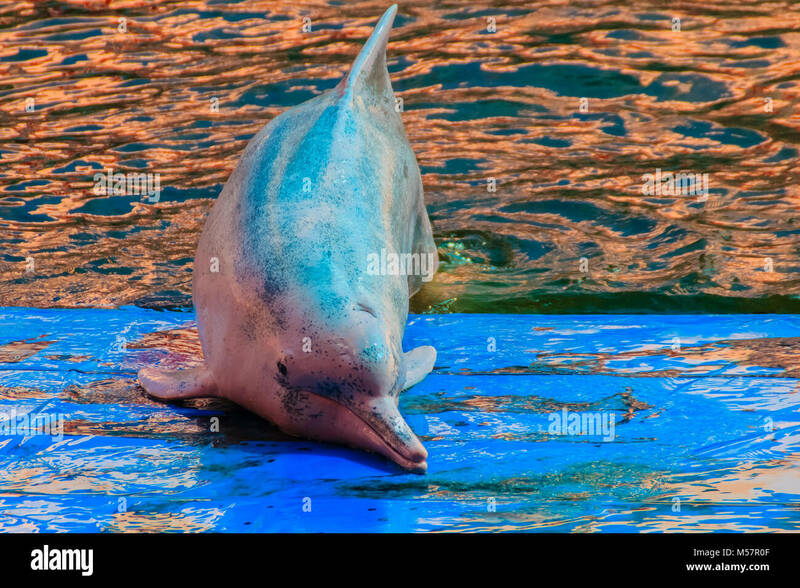 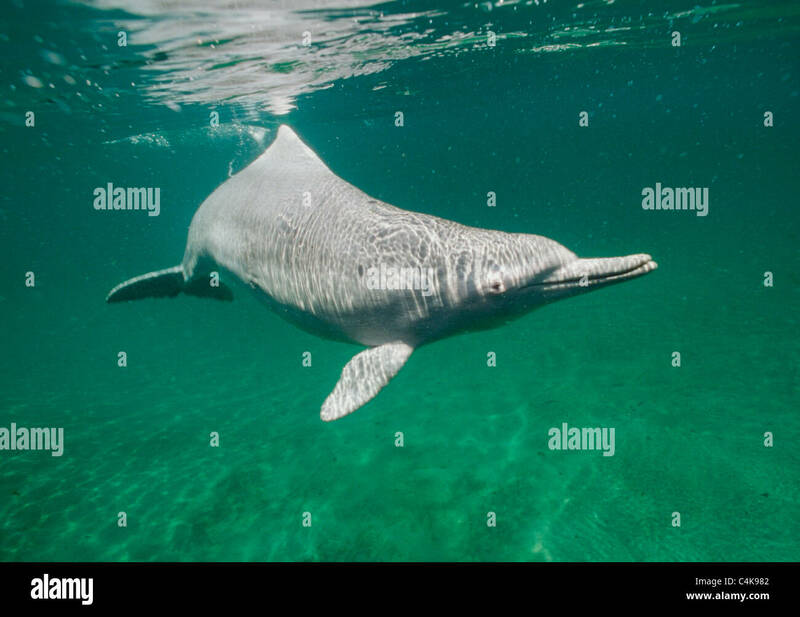 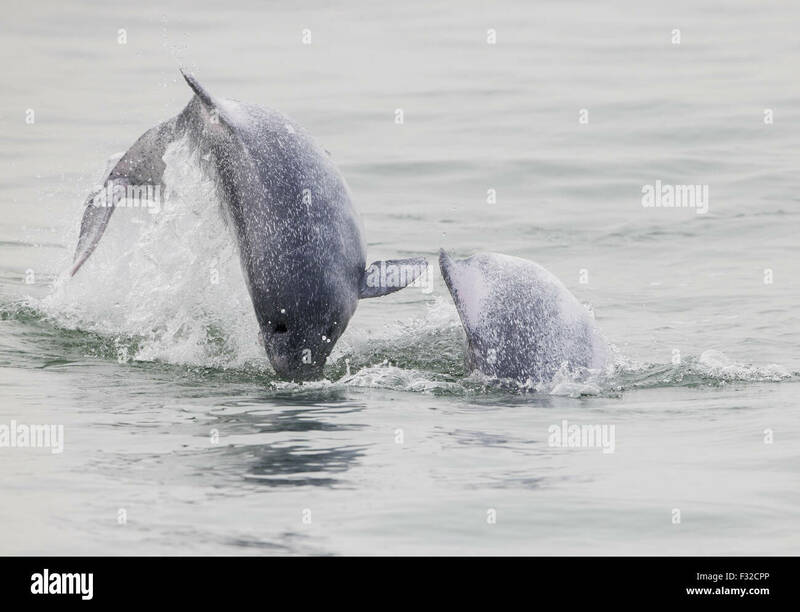 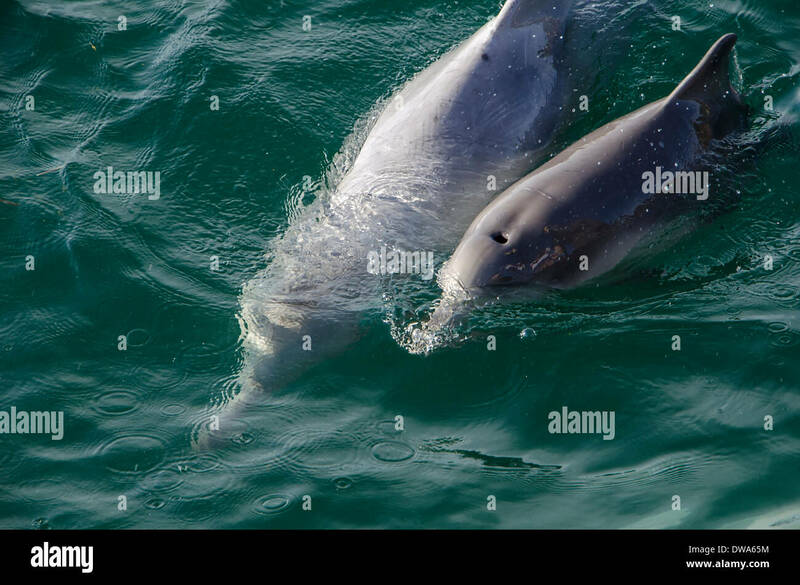 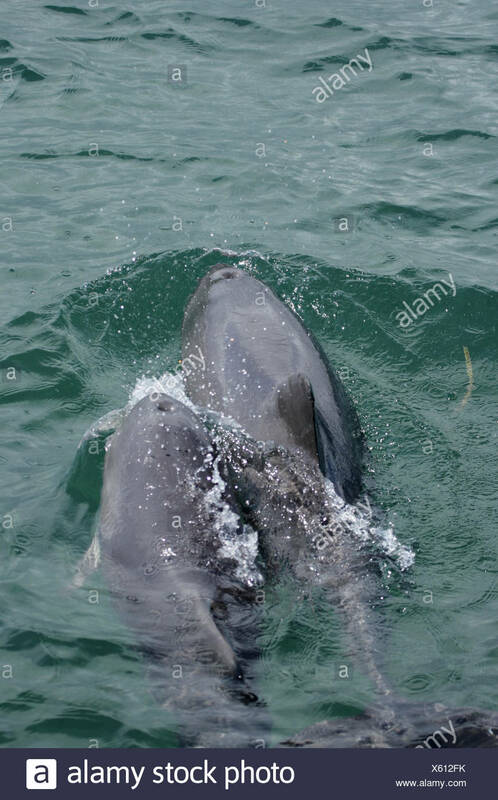 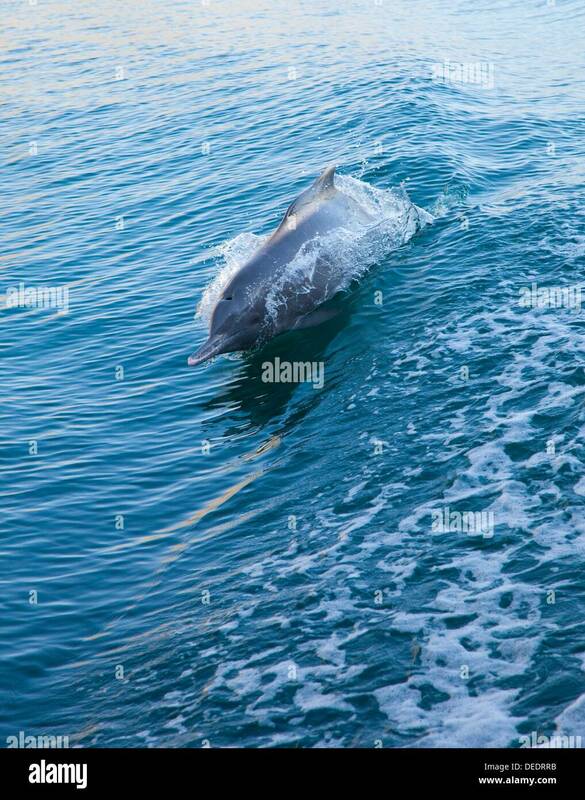 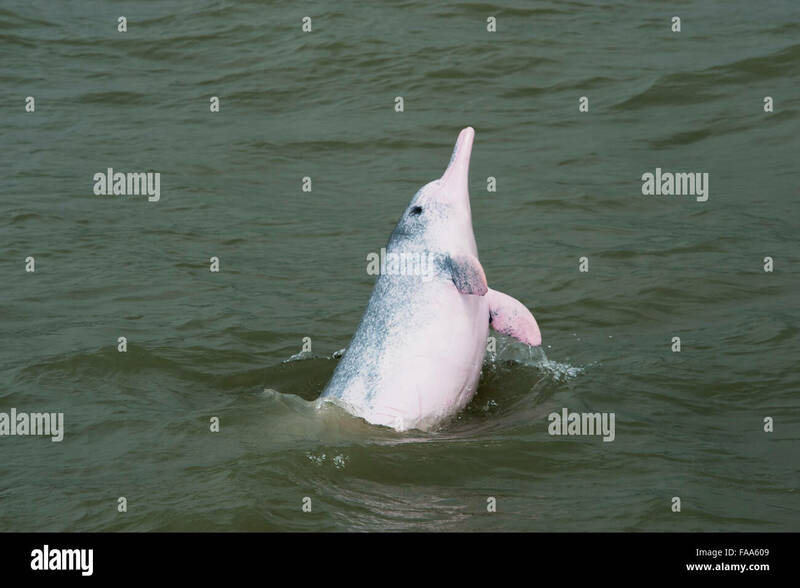 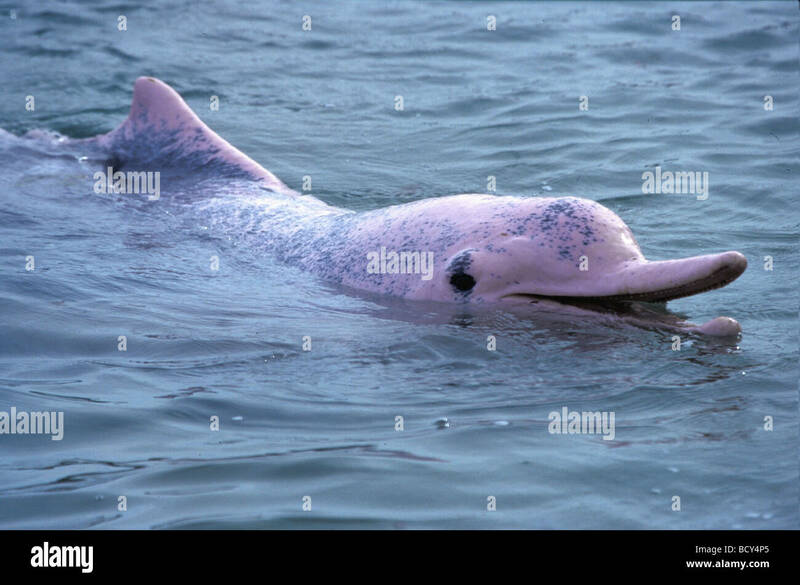 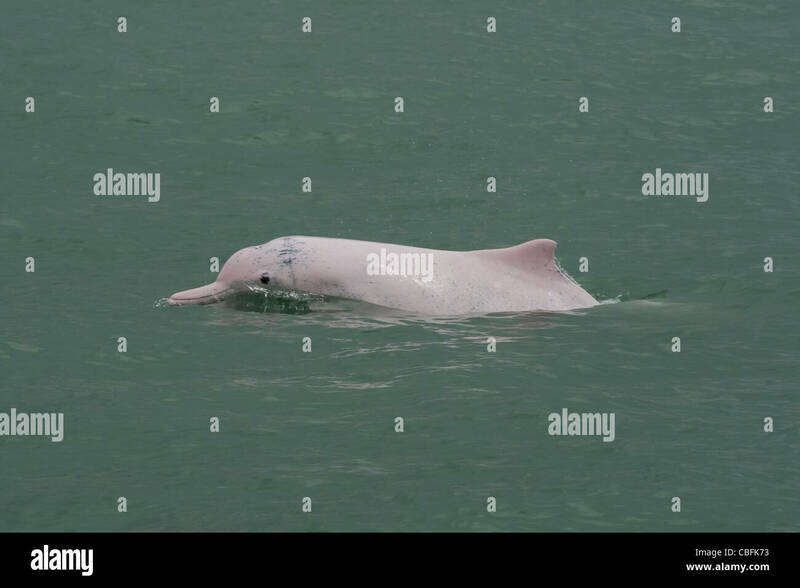 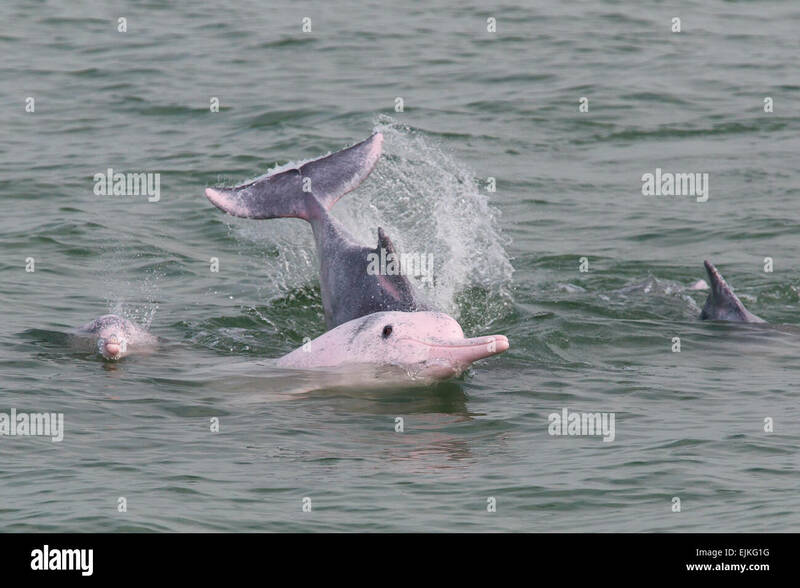 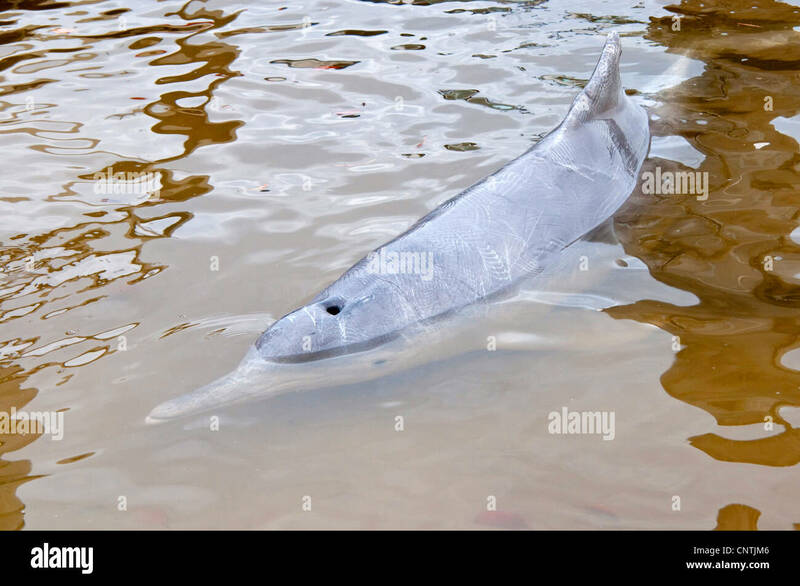 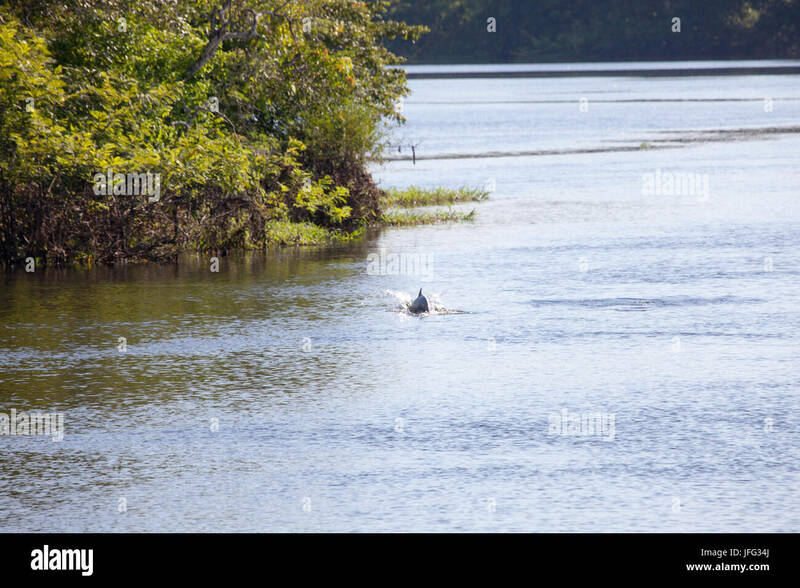 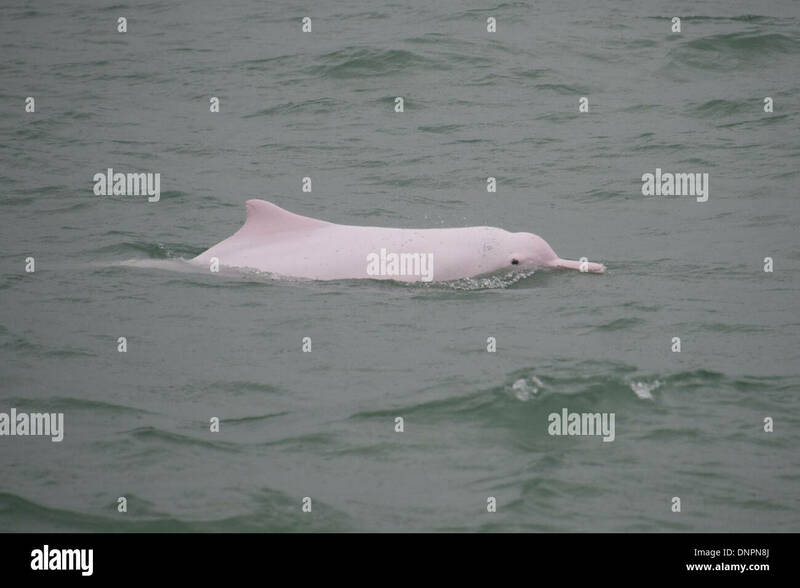 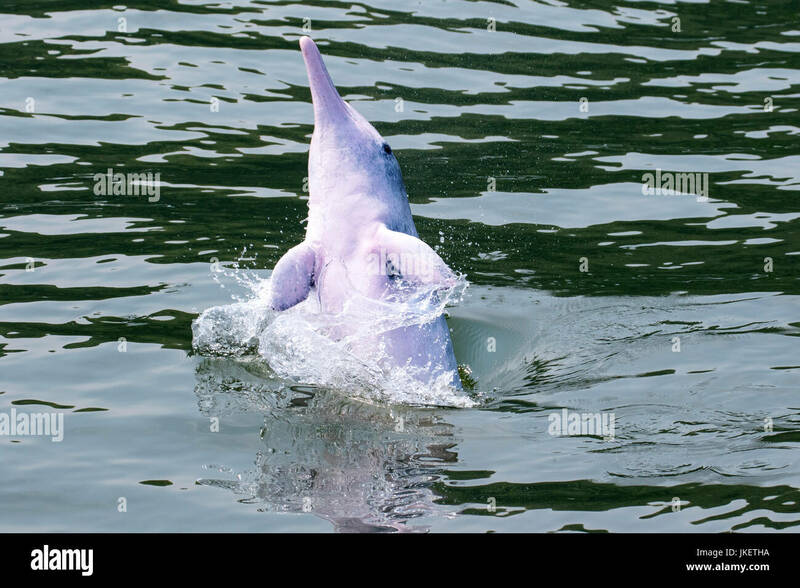 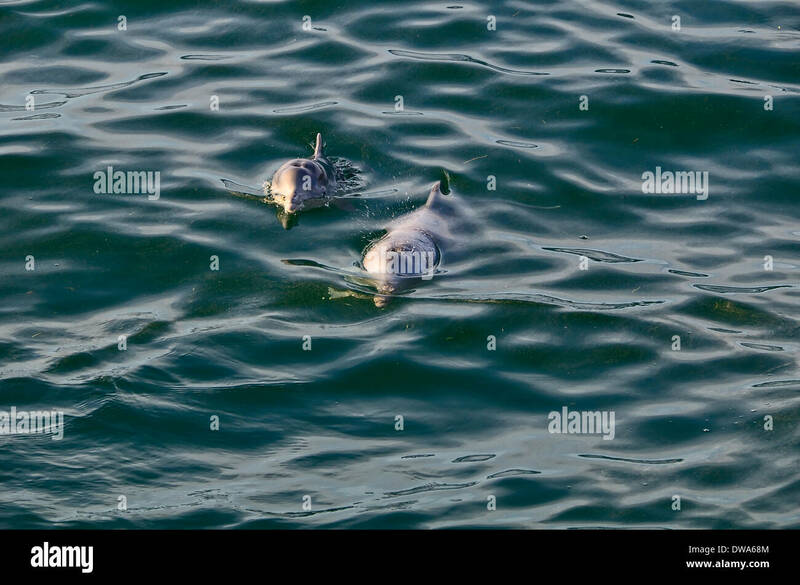 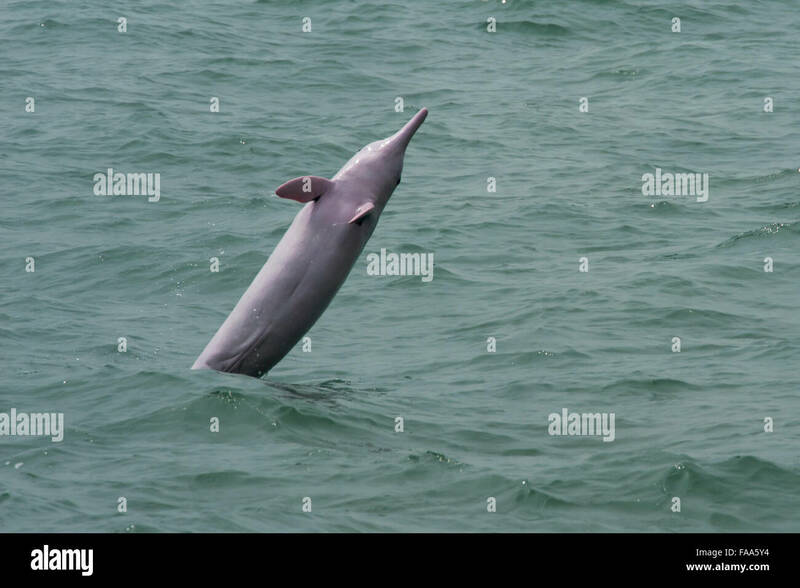 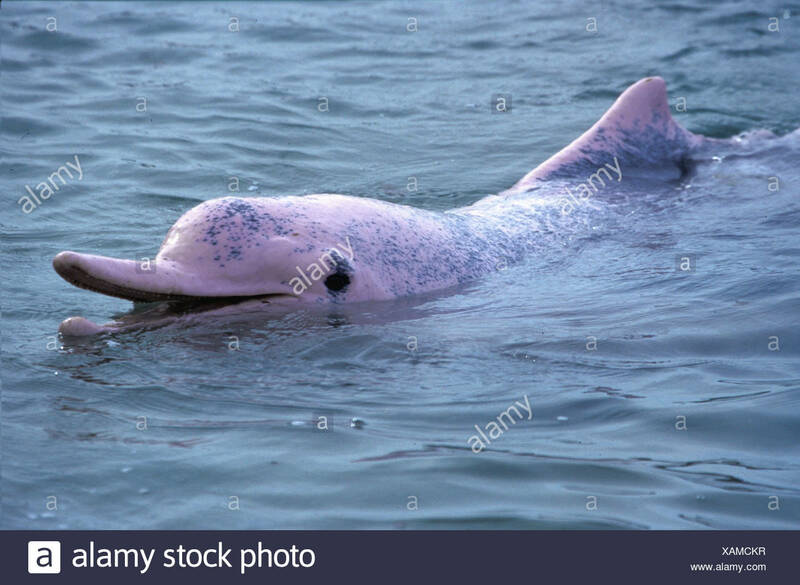 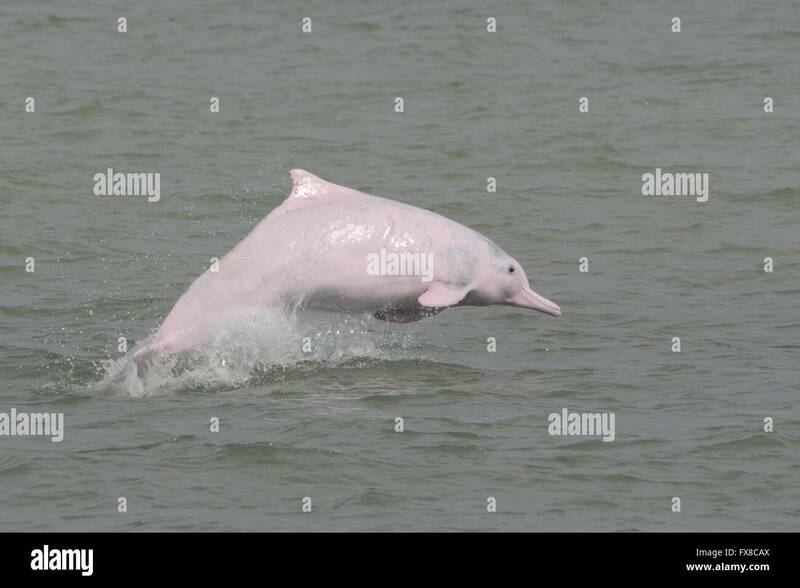 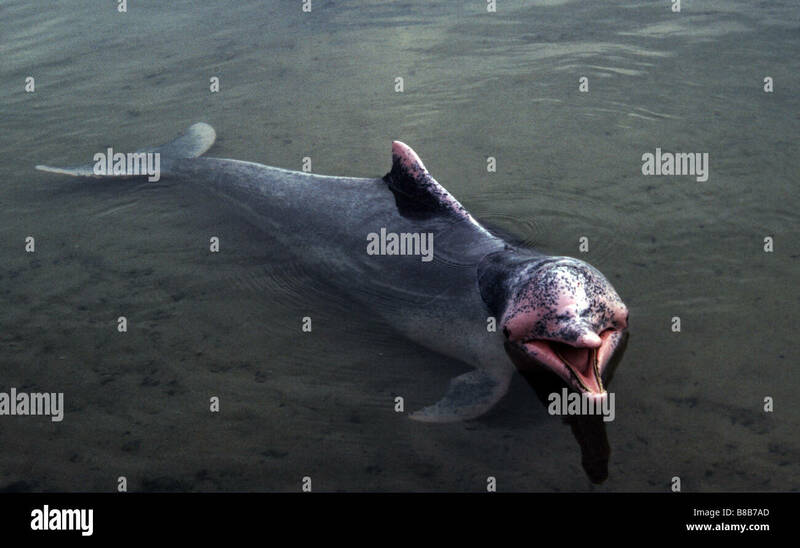 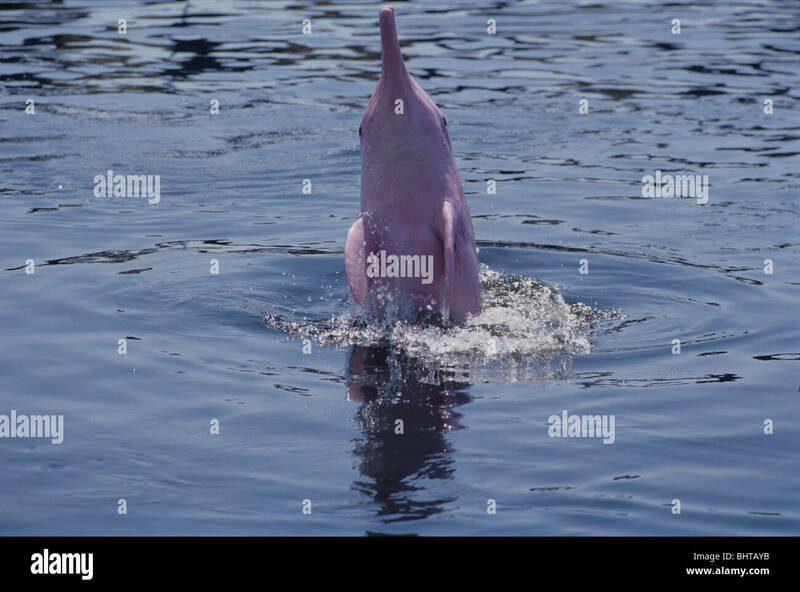 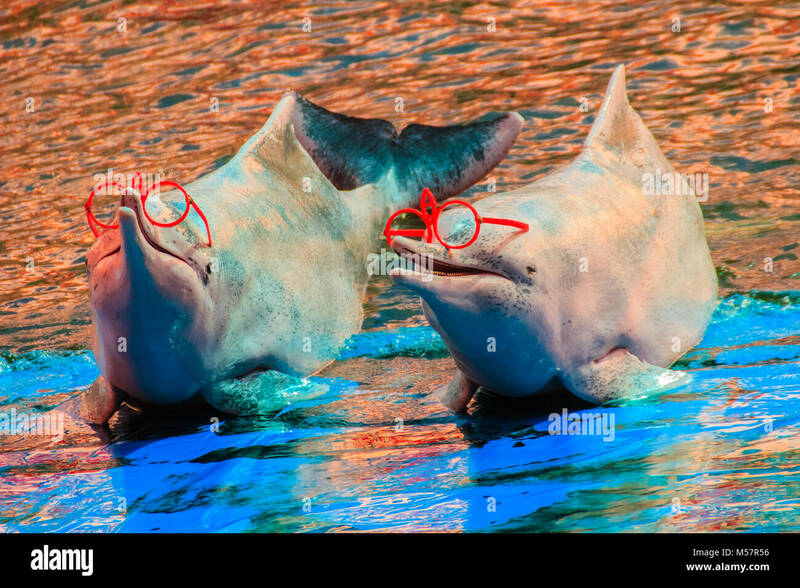 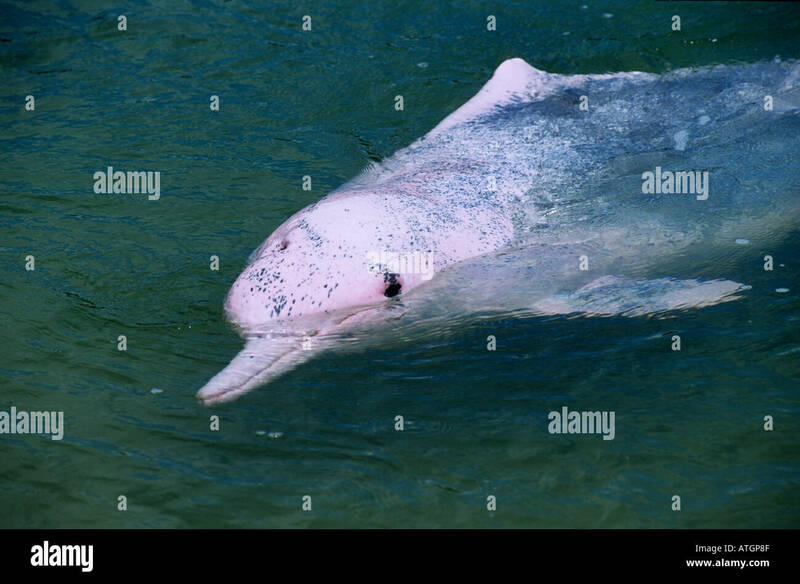 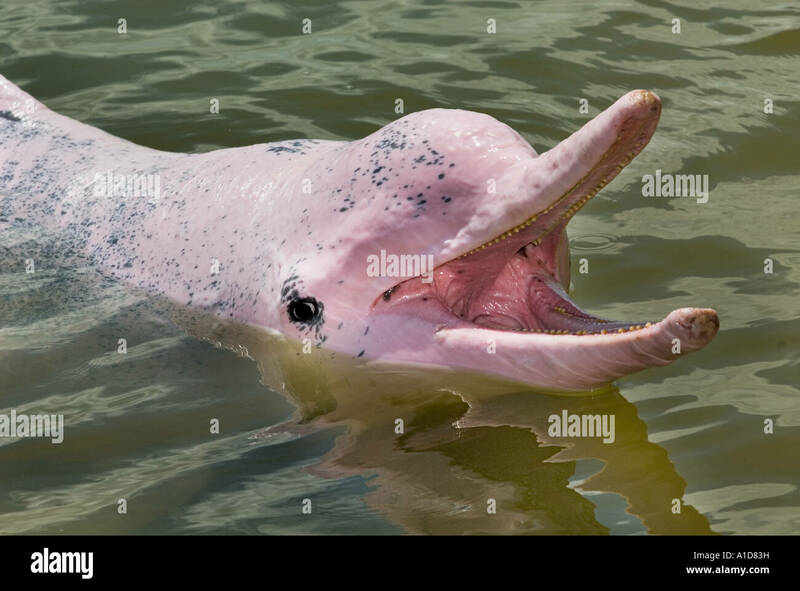 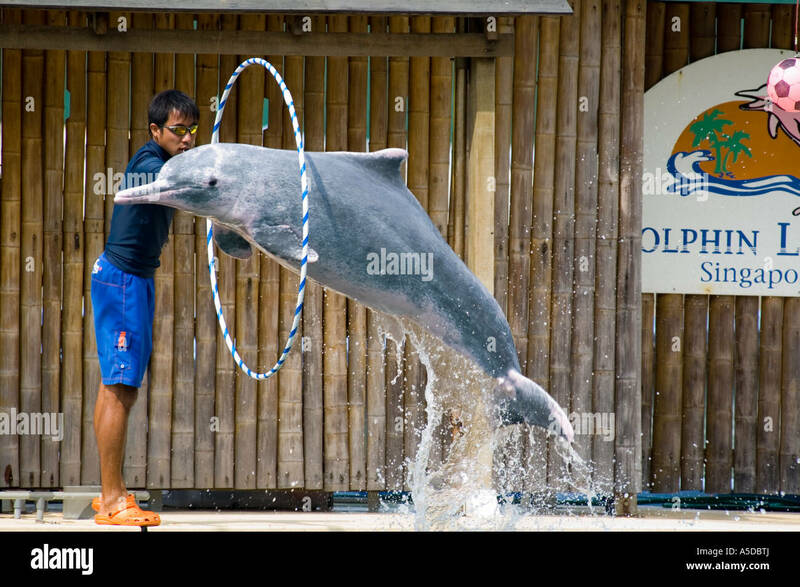 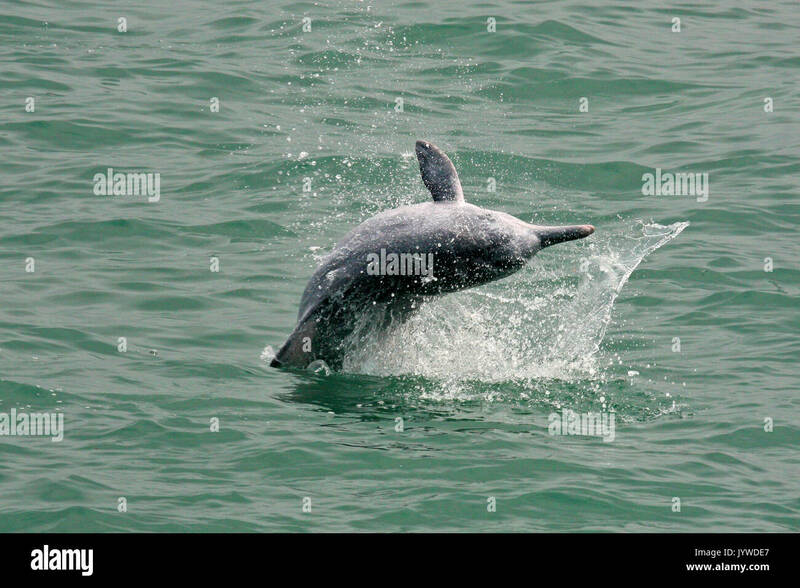 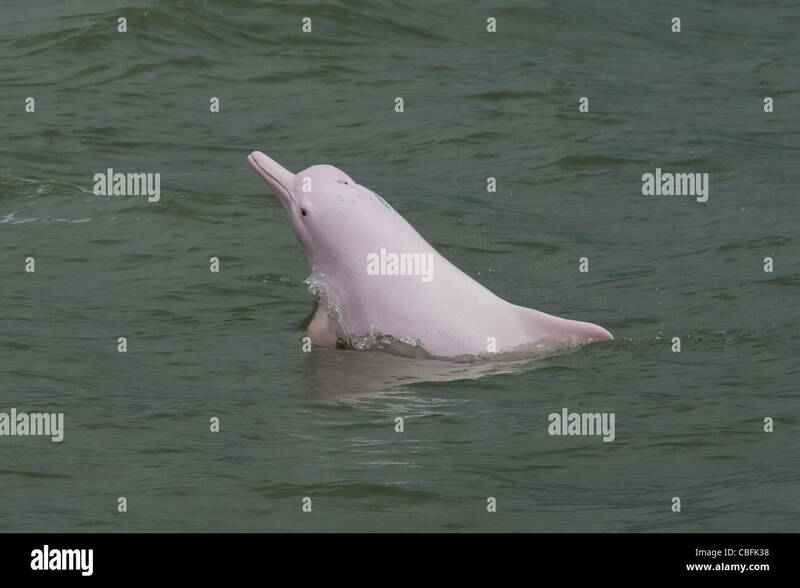 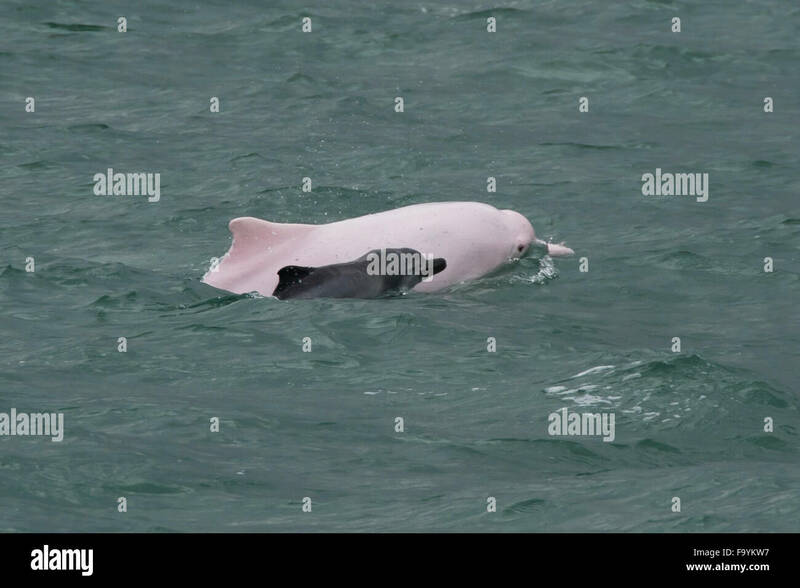 Cute Indo-Pacific humpback dolphin (Sousa chinensis) ,or Pink dolphin, or Chinese white dolphin is wearing sunglass and dancing shows. 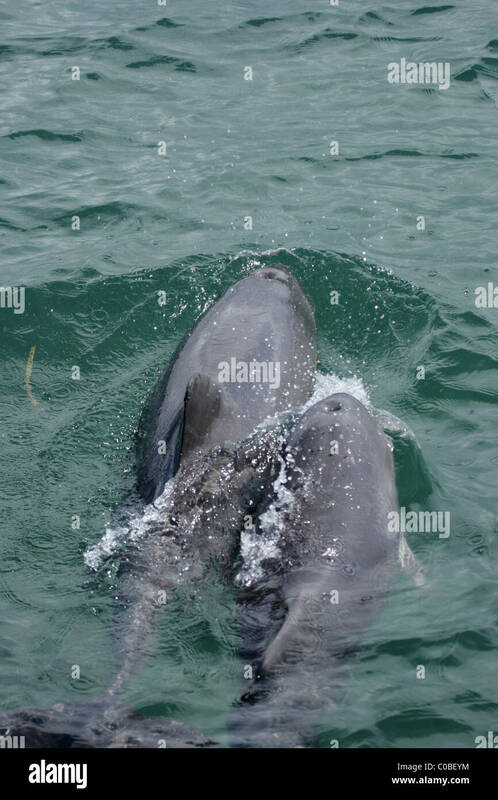 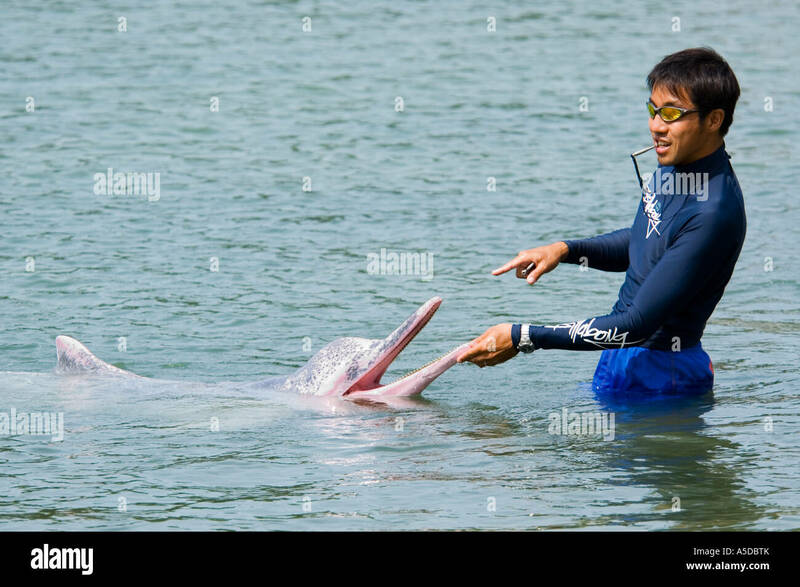 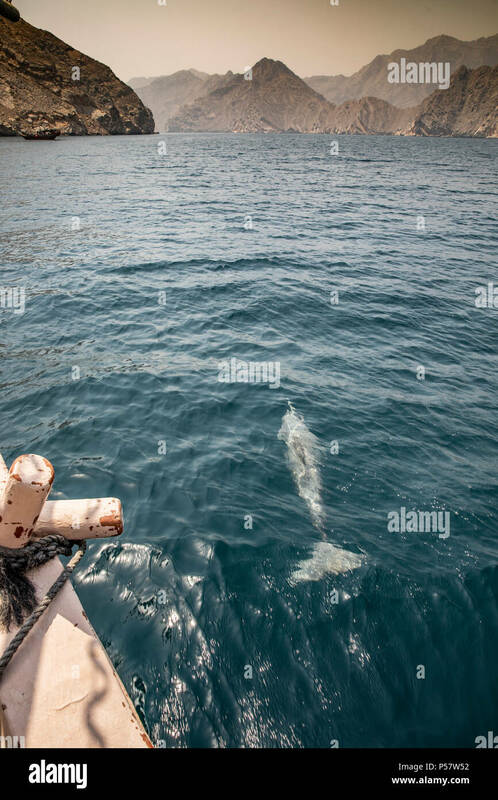 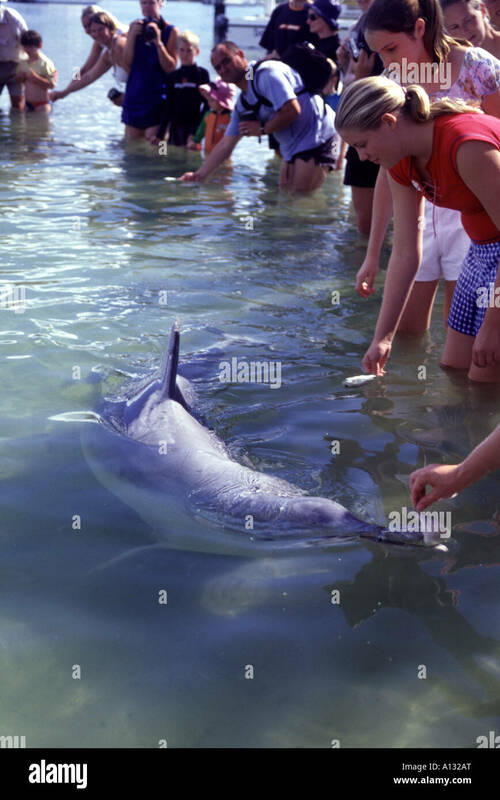 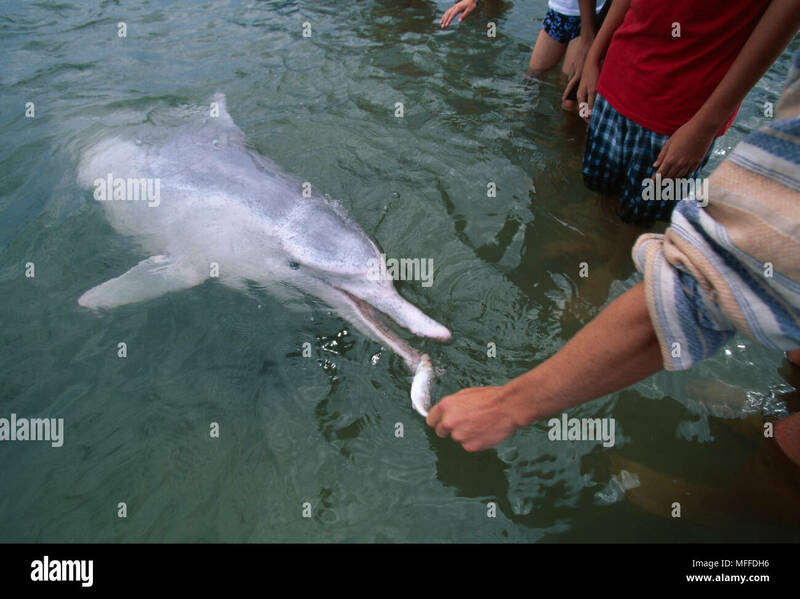 INDO-PACIFIC HUMPBACK DOLPHIN Sousa chinensis being fed by tourist. 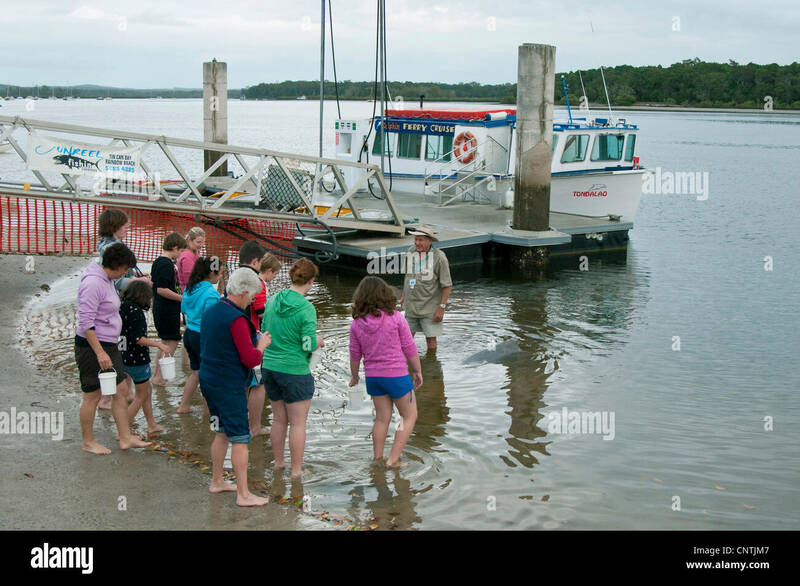 Tin Can Bay, Queensland, Australia.